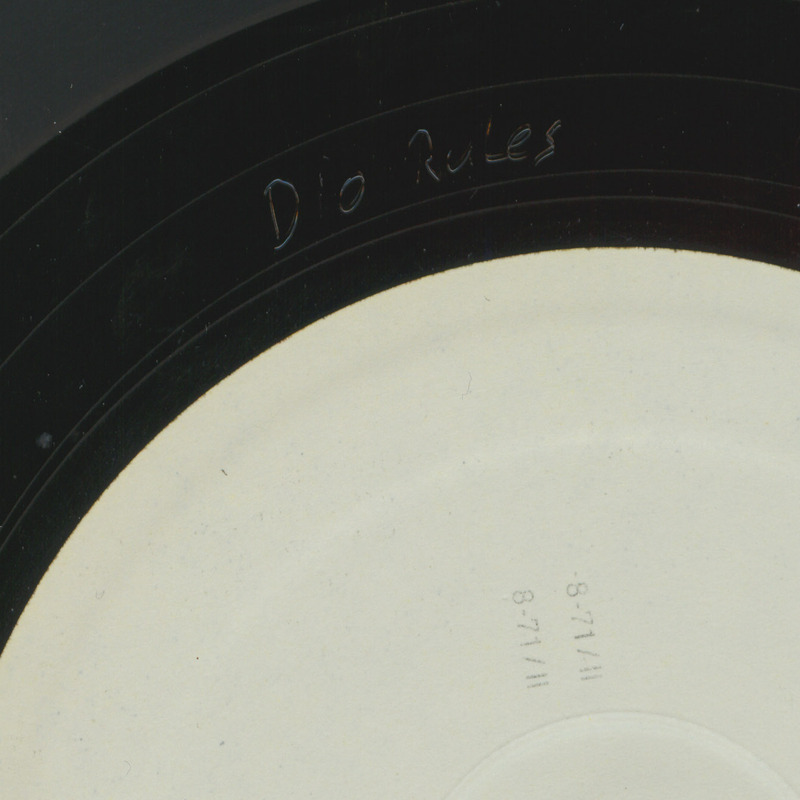 All of these are illegal, unauthorized vinyl bootleg releases. Most of them have been printed in very small quantities, usually no more than some hundred or thousand copies of each. 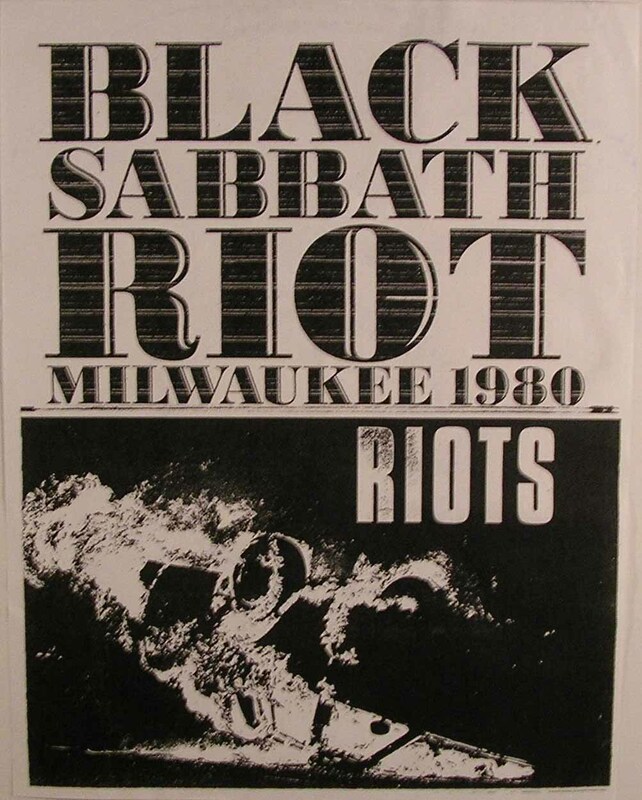 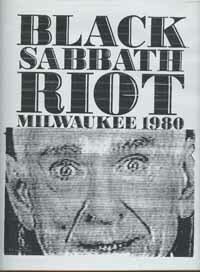 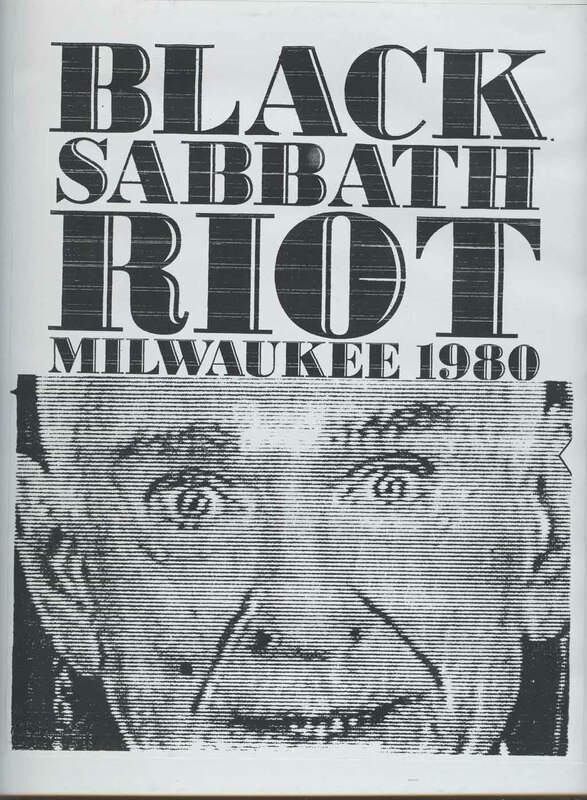 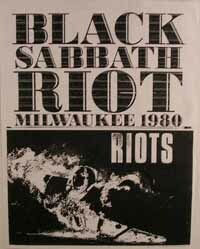 Recorded riot noise on the A side after Black Sabbath ended their concert prematurely (Geezer Butler got injured when a bottle hit him). Recorded at Mecca Arena in Milwaukee, WI, USA on October 9th, 1980. 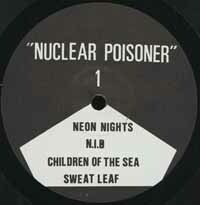 B side contains industrial music probably from the 1990s, performed by Lary 7 & Khan. 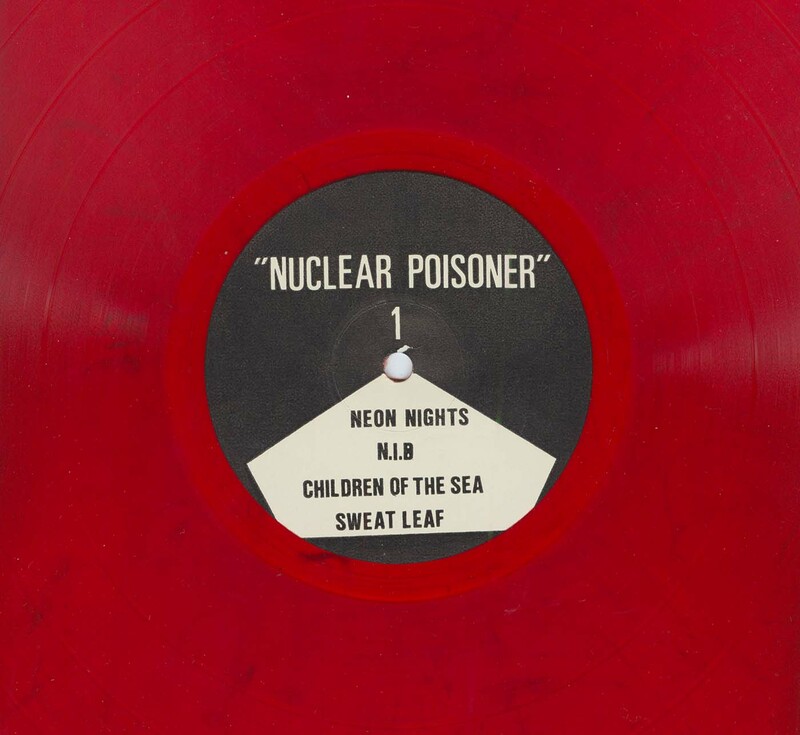 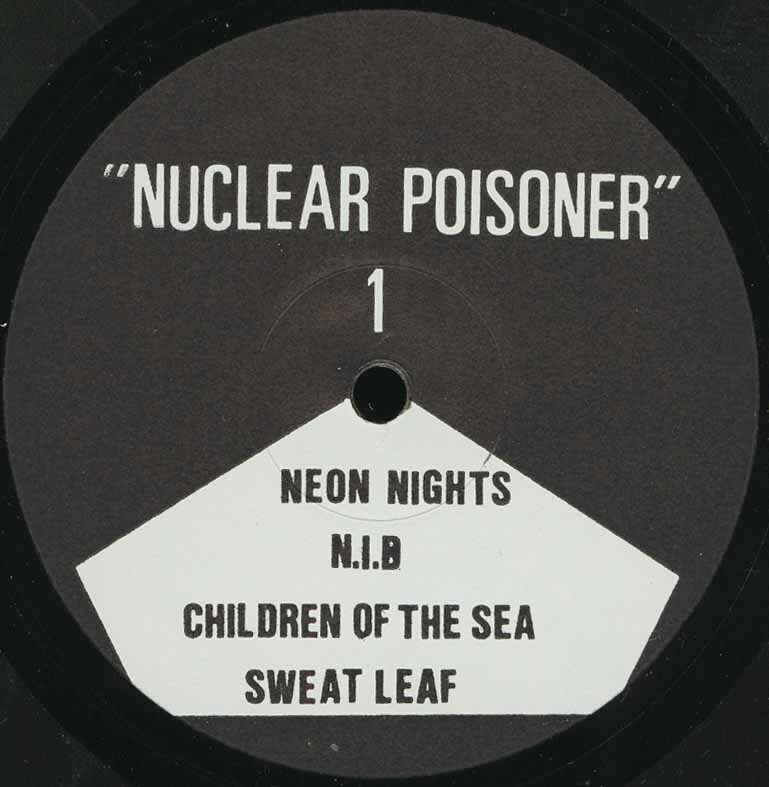 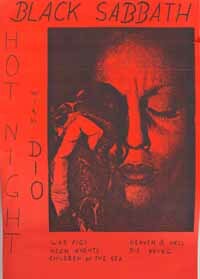 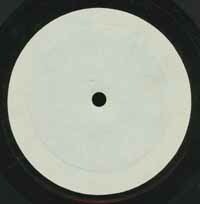 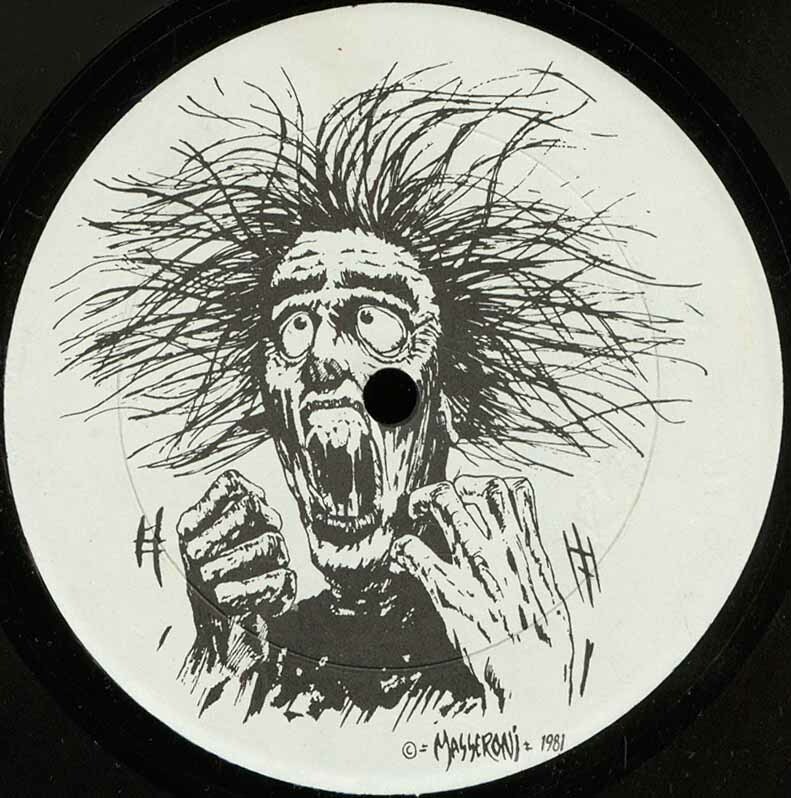 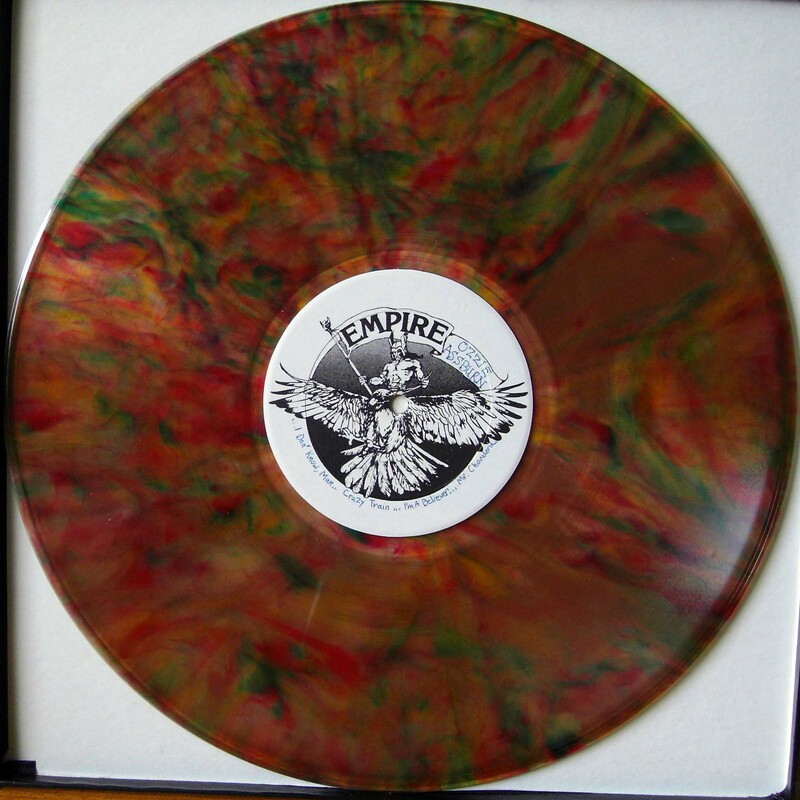 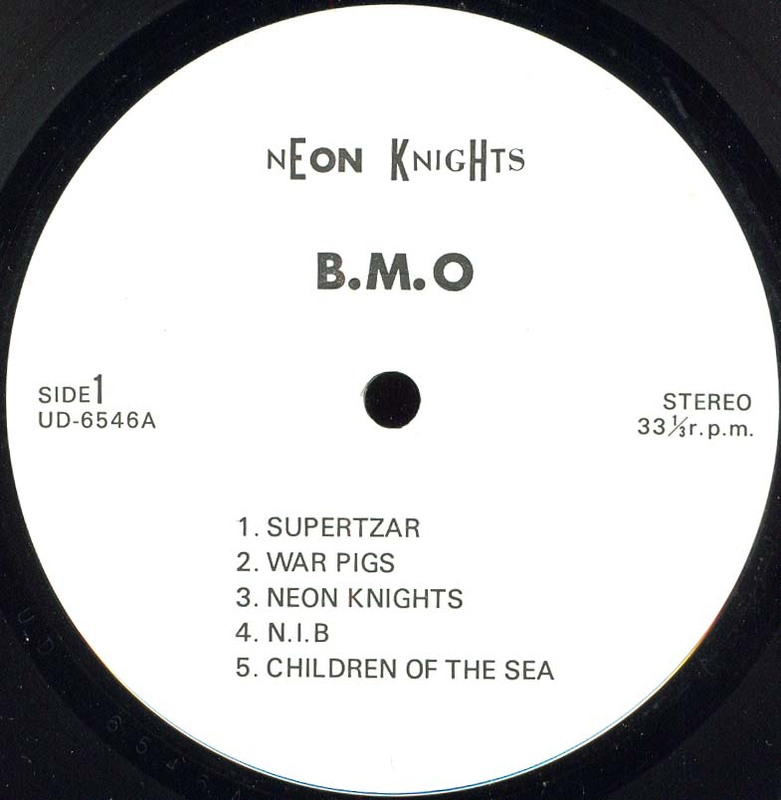 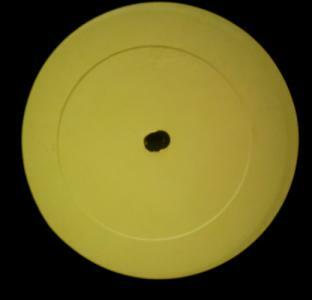 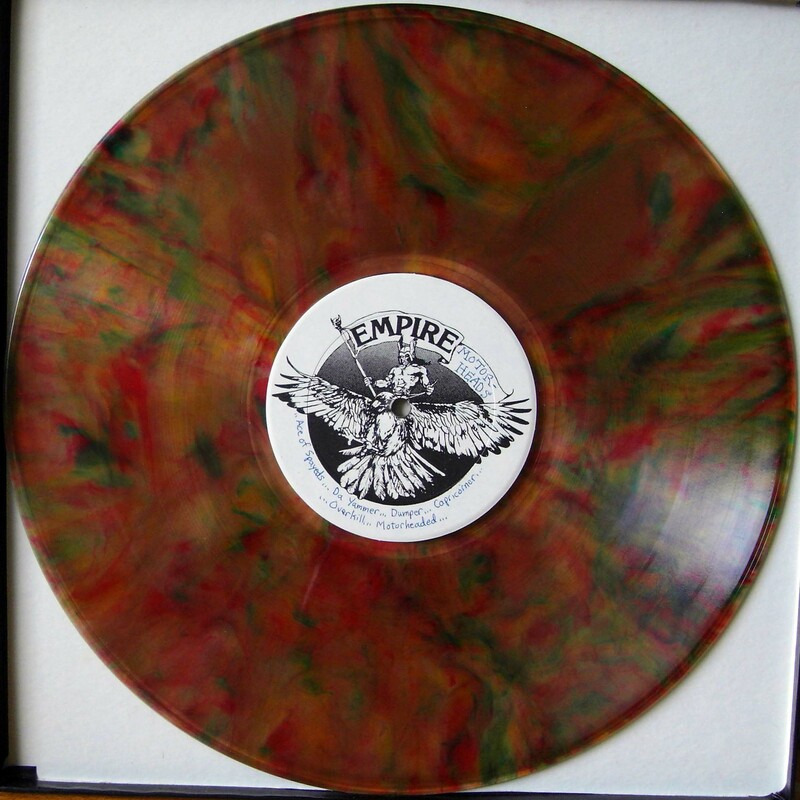 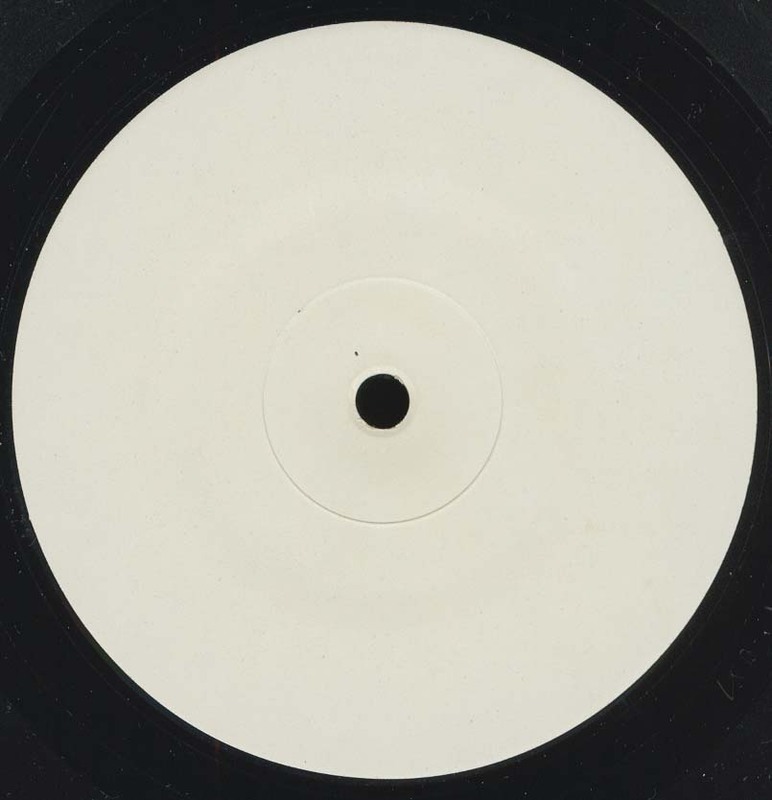 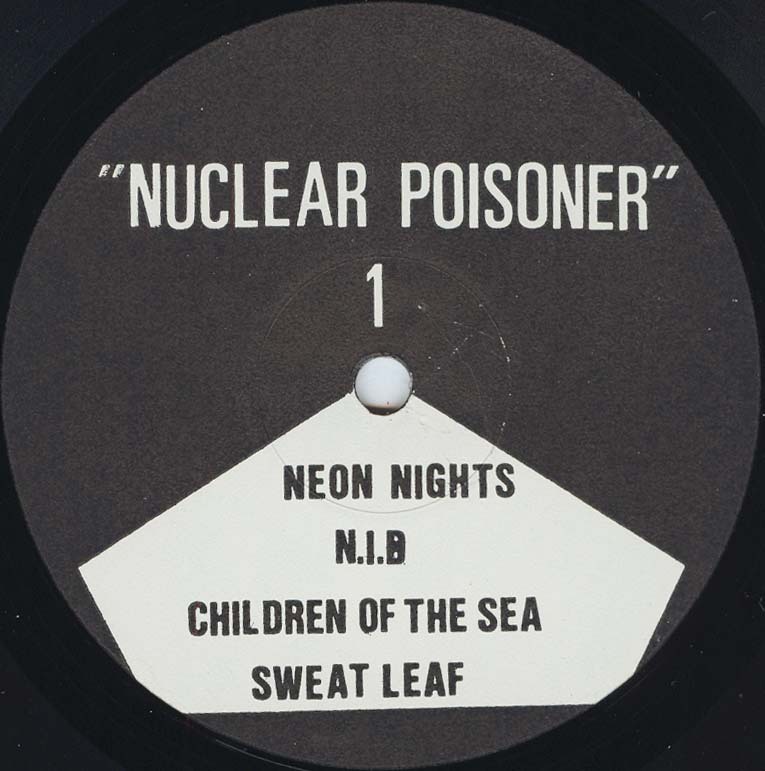 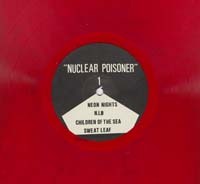 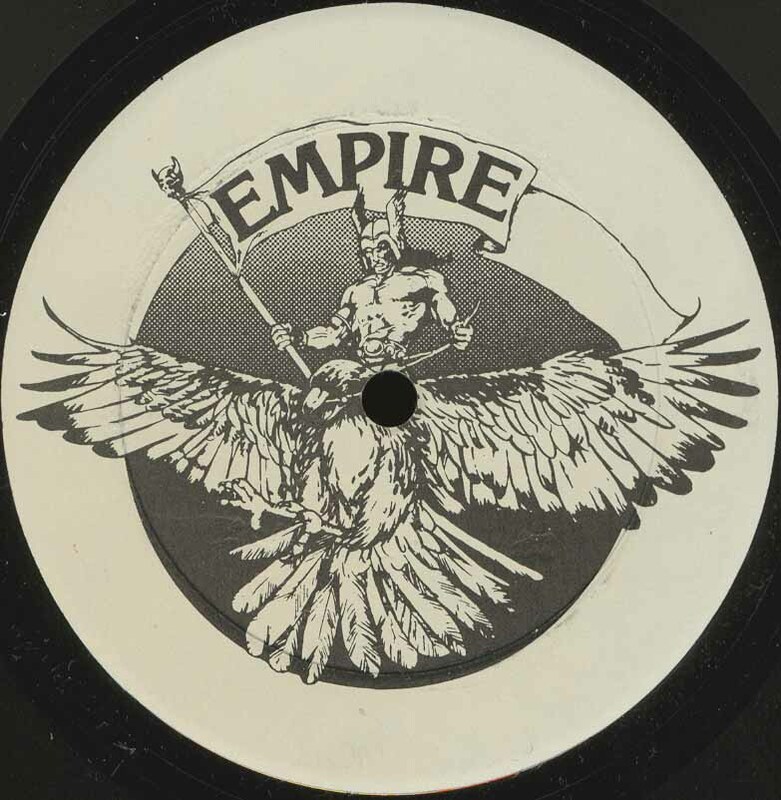 This record might not always be considered as a bootleg LP; the producer and record label of the album classifies it as a legal 12" single instead. 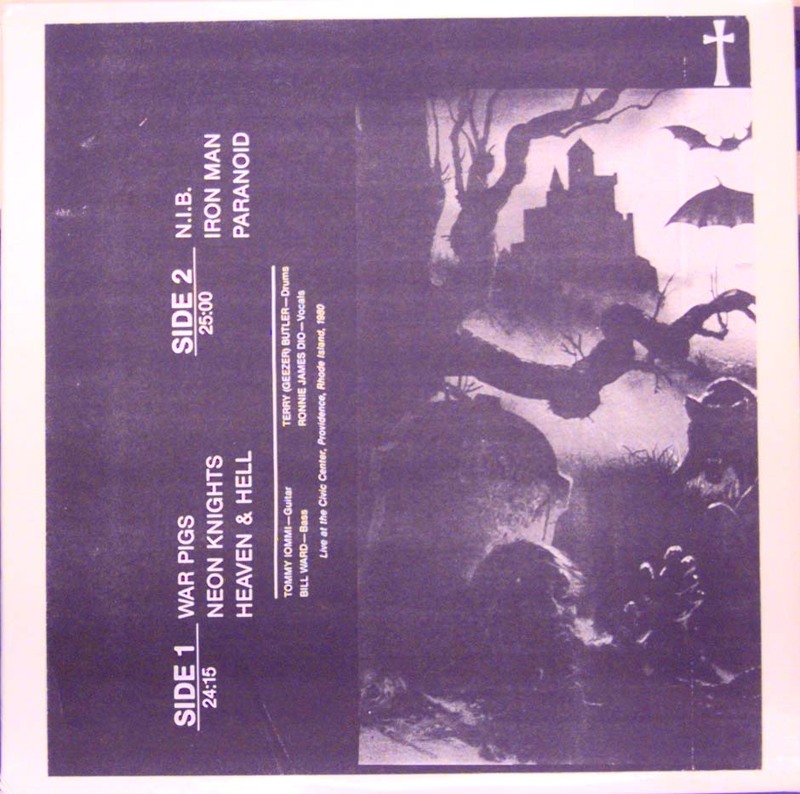 Recorded live at Civic Centre, Hartford, CT, USA on August 10th, 1980. 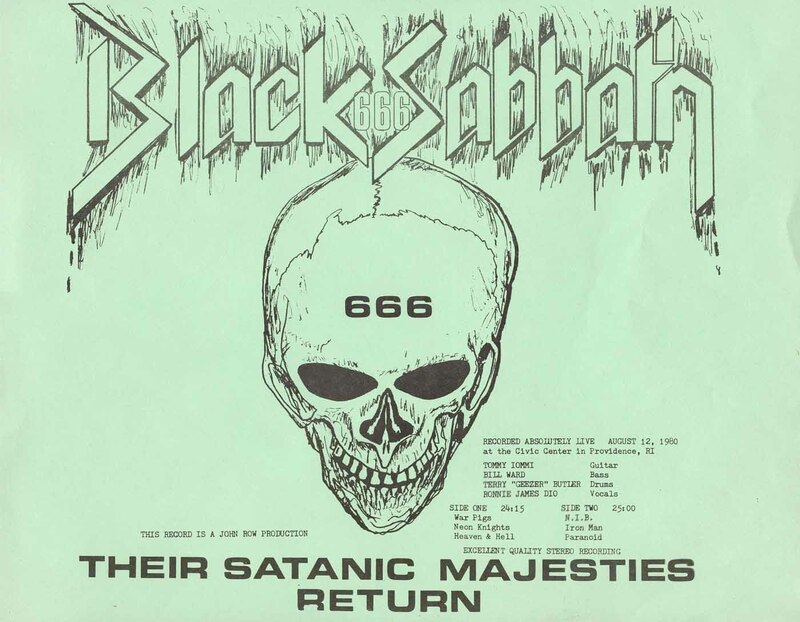 Some sources claim this is from Hammersmith Odeon, London, UK on January 20th, 1981 but that is incorrect. 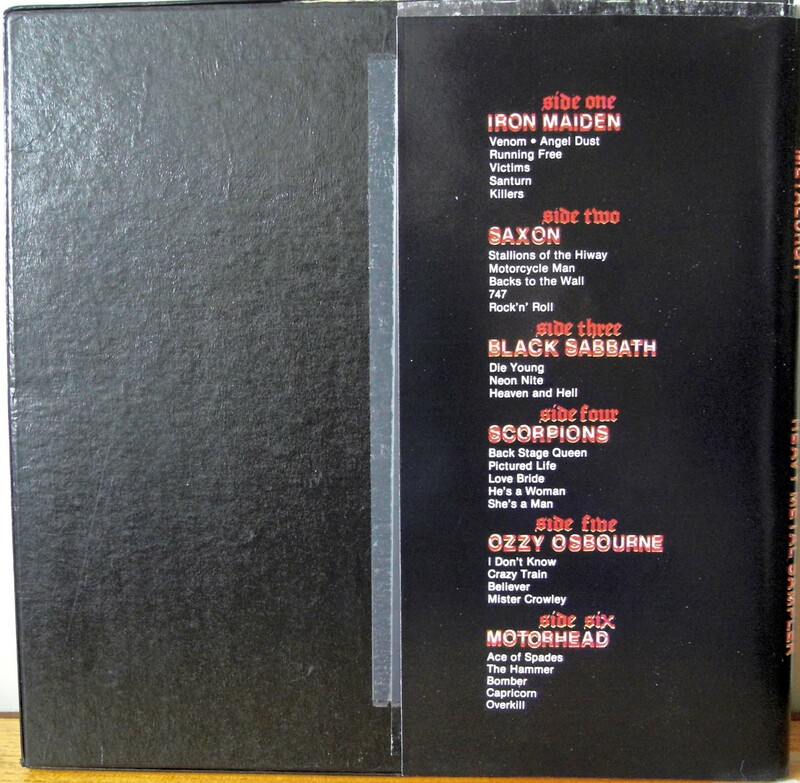 The recordings are from Heaven And Hell tour in 1980-1981 with Vinny Appice on drums. 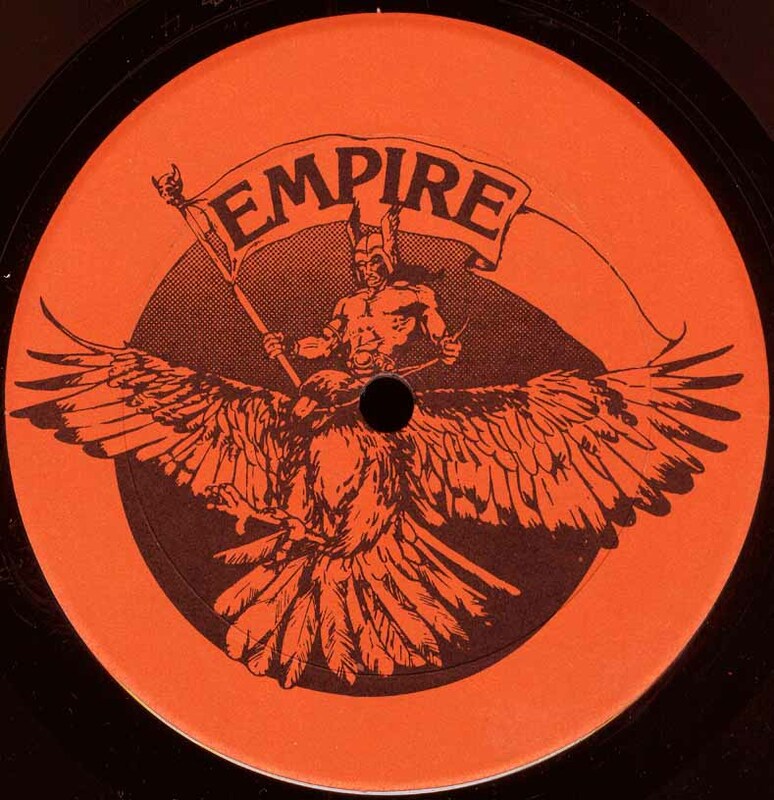 Recorded live at Civic Centre in Providence, RI, USA on August 12th, 1980. 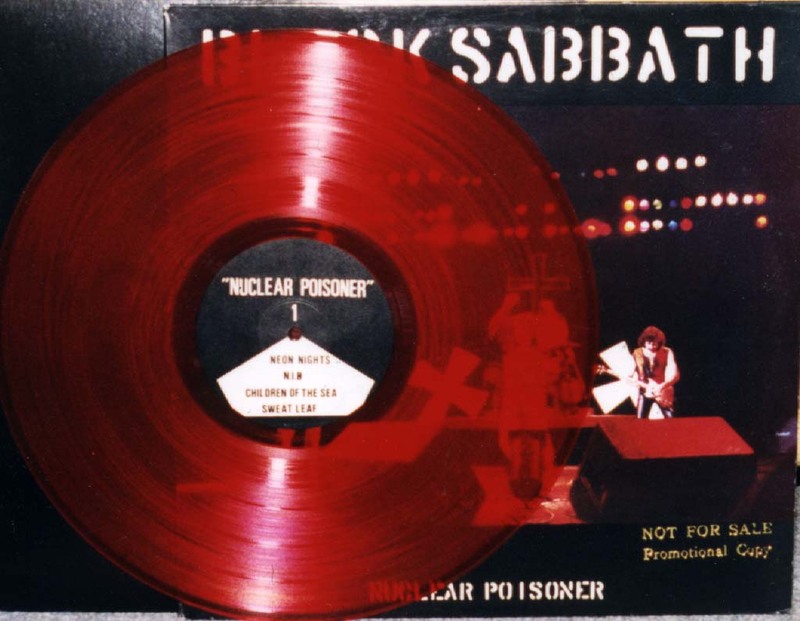 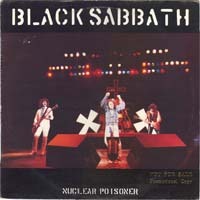 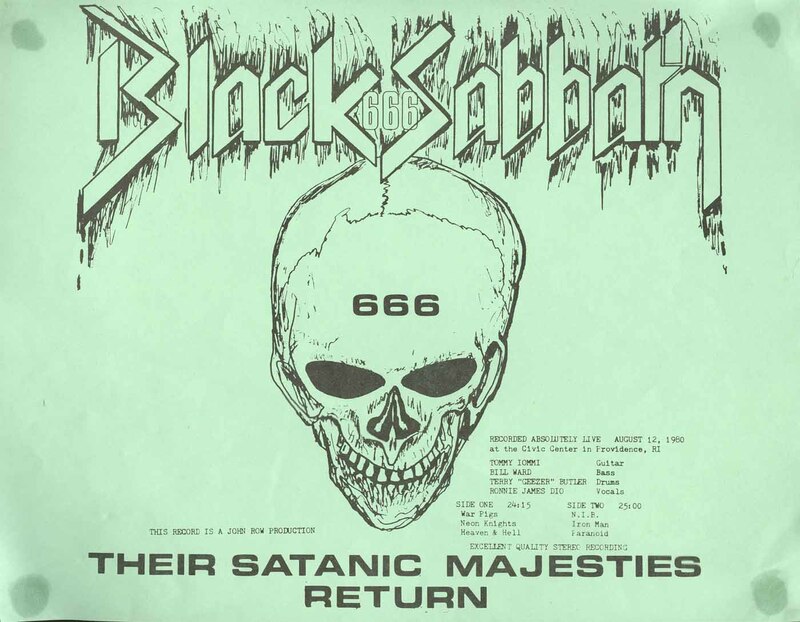 Recorded live at Spectrum, Philadelphia, PA, USA on August 6th, 1975 by by the original Black Sabbath line-up. 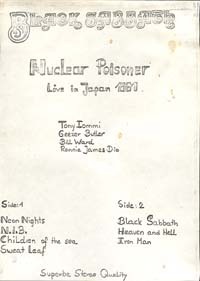 Songs marked with (*) were recorded from a TV broadcast filmed at the Civic Centre, Hartford, CT, USA on August 10th, 1980 with Ronnie James Dio on vocals. 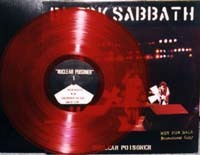 Black Sabbath recorded live at Civic Centre in Providence, RI, USA, August 12th, 1980. 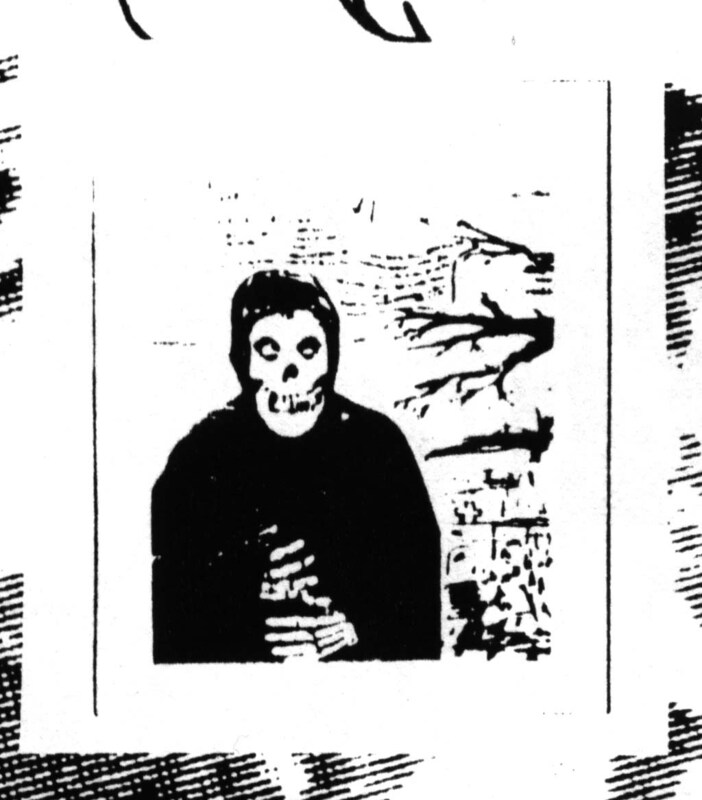 Sometimes referred as "Grim Reaper" bootleg since the Black Sabbath side is titled as "Grim Reaper". 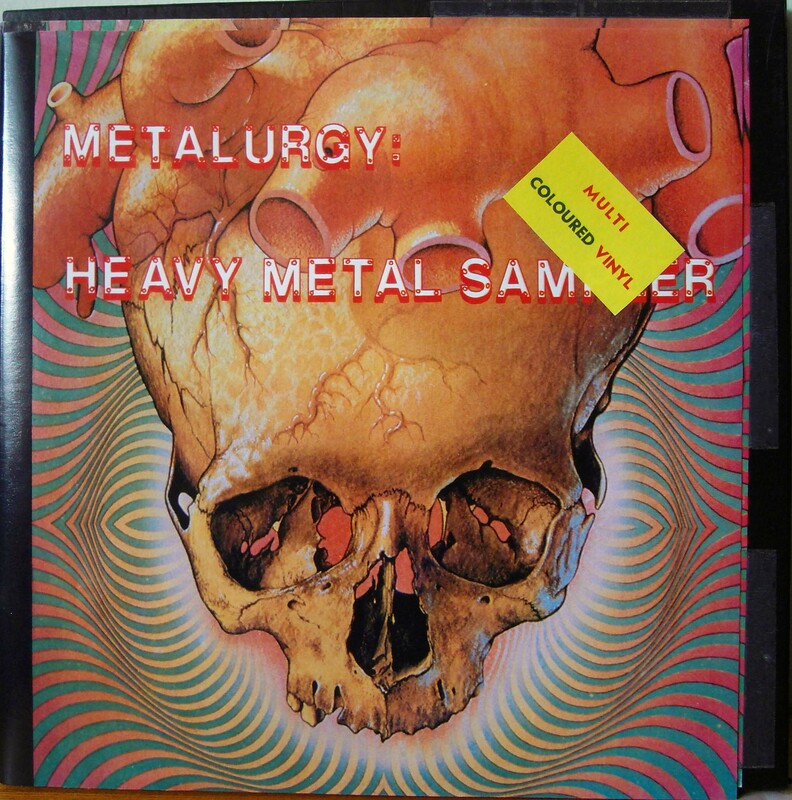 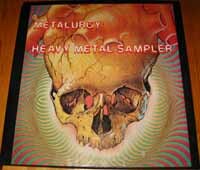 Same recording as Metalurgy: Heavy Metal Sampler. 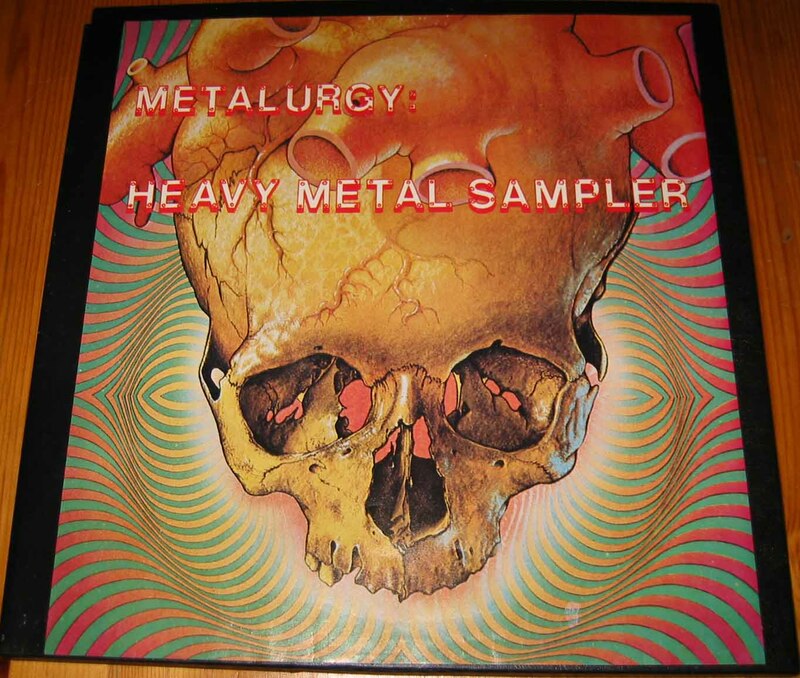 - Boxed set, comes in a black cardboard box, identical with the box with the Metalurgy, possibly from the same person who manufactured the Metalurgy one. - Some sources claim this is Italian relase, some others claim France, some USA. USA is almost certainly correct. - Click here for side E label picture. - Click here for side F label picture. 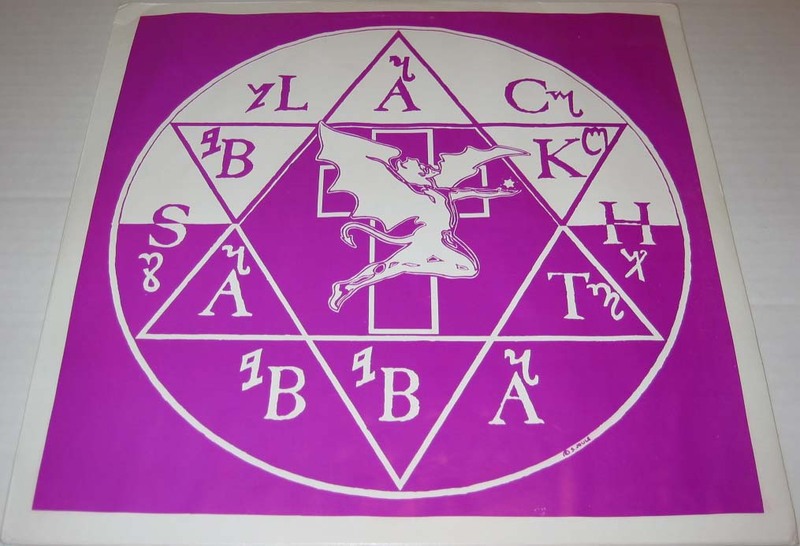 Black Sabbath recorded live at Civic Centre in Providence, RI, USA, August 12th, 1980. 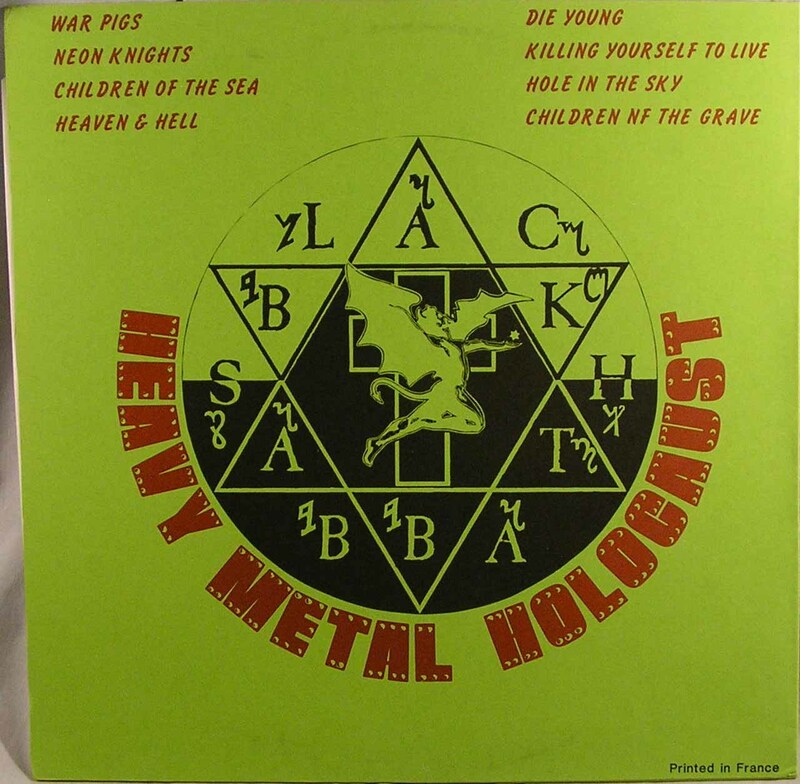 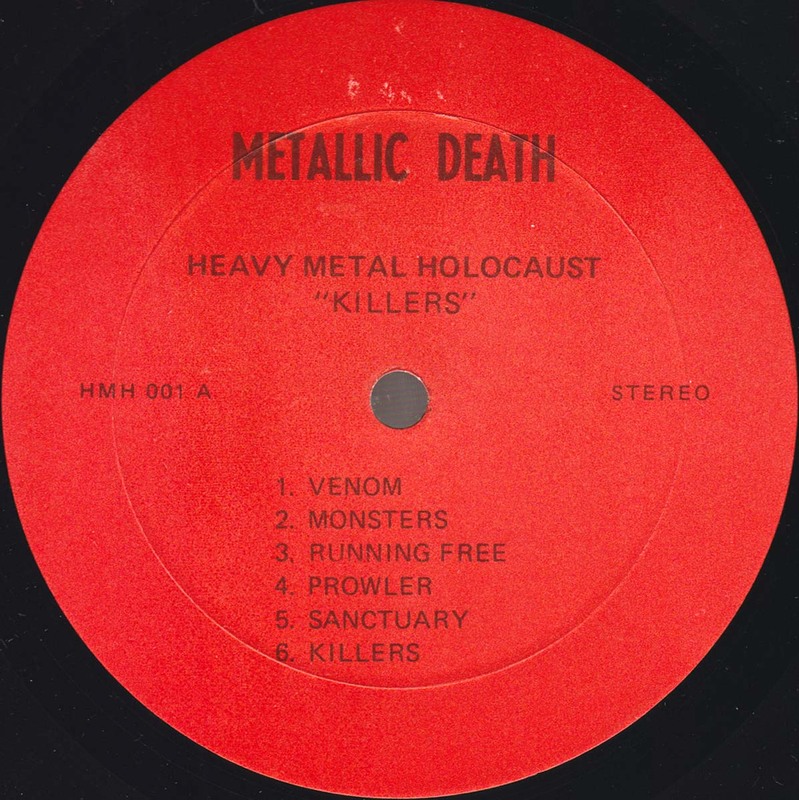 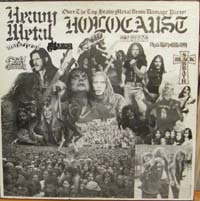 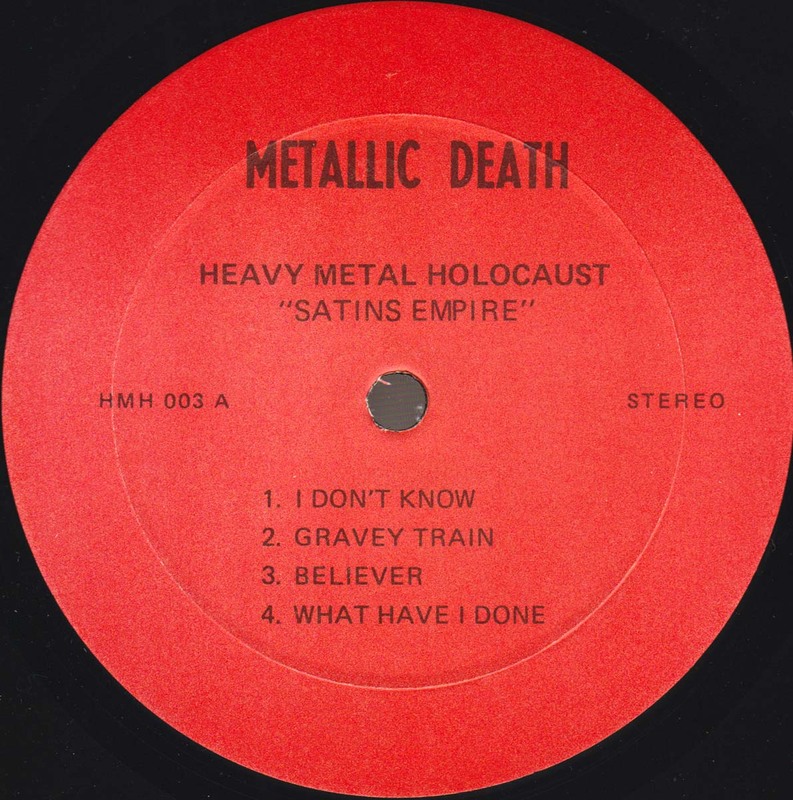 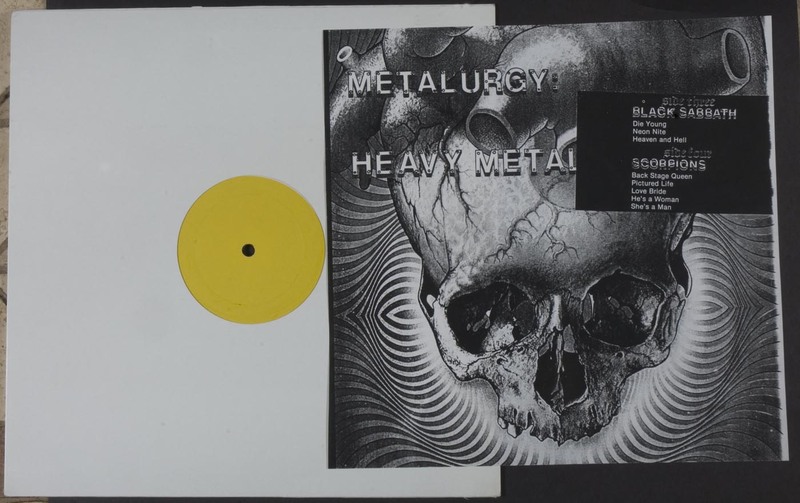 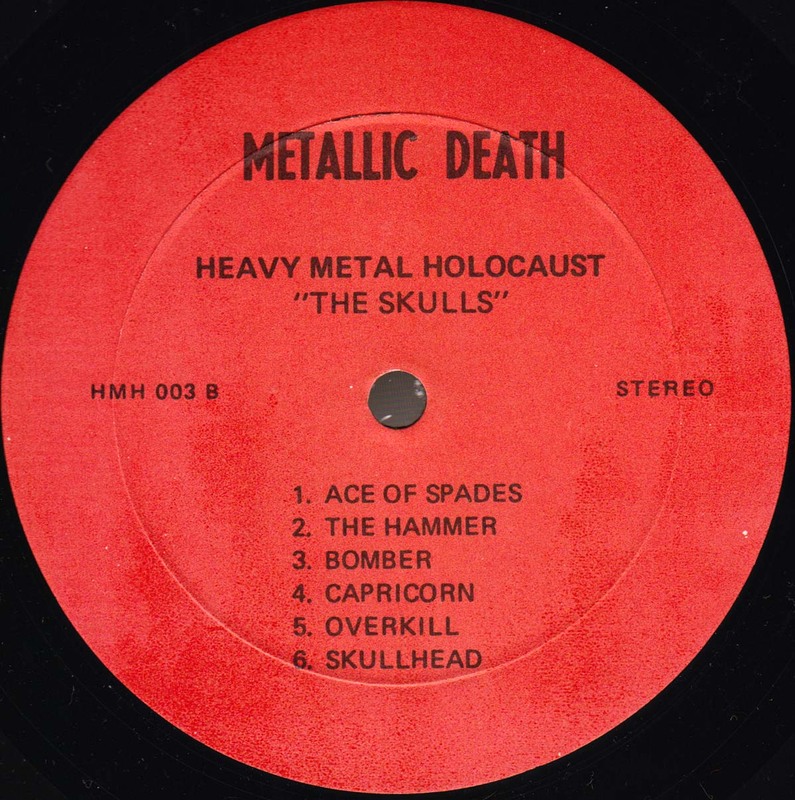 Heavy Metal Holocaust HMH 002, USA? 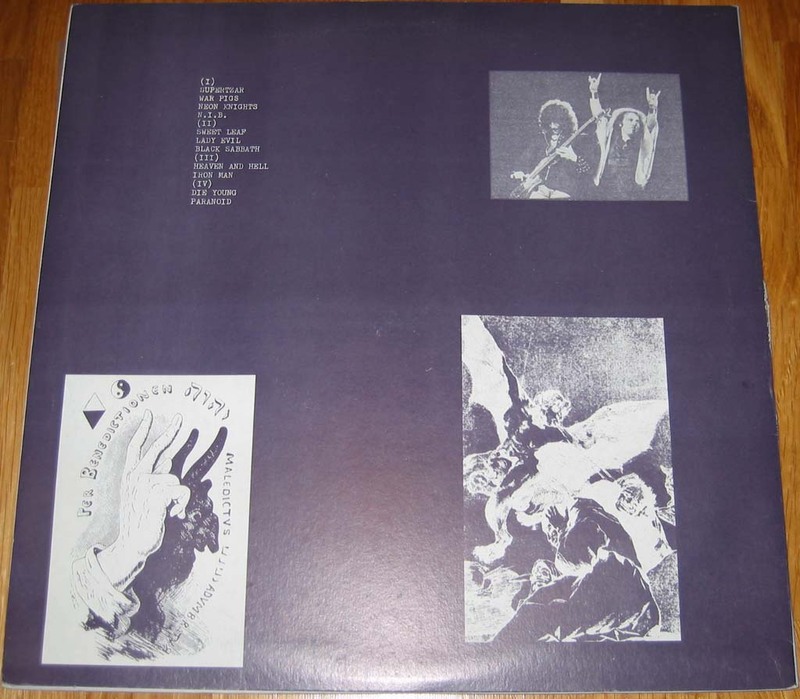 Recorded live at Civic Centre in Providence, RI, USA on August 12th, 1980. 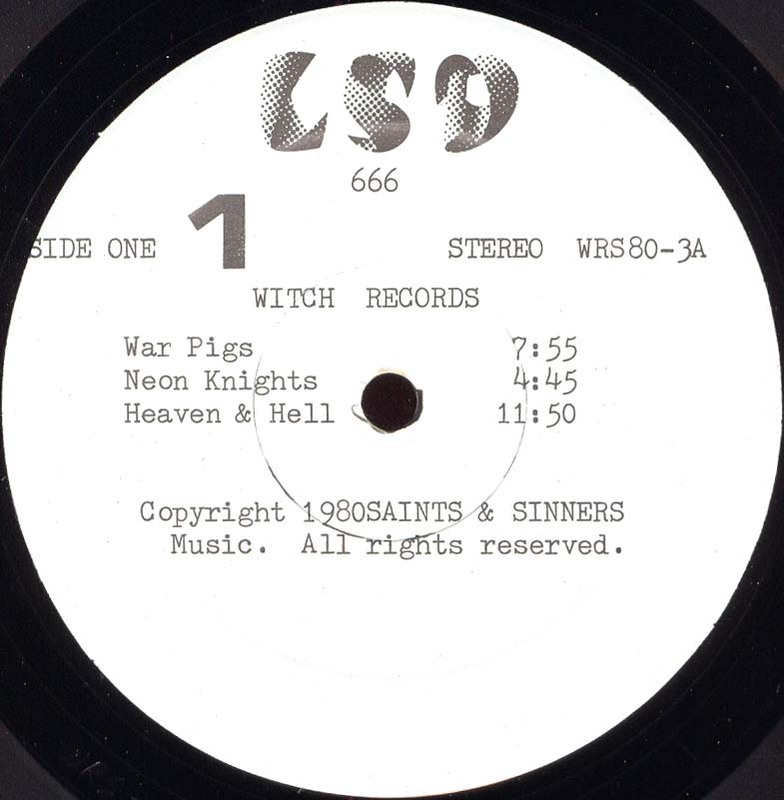 Same recording as on the Death Riders/Their Satanic Majesties Return bootleg. 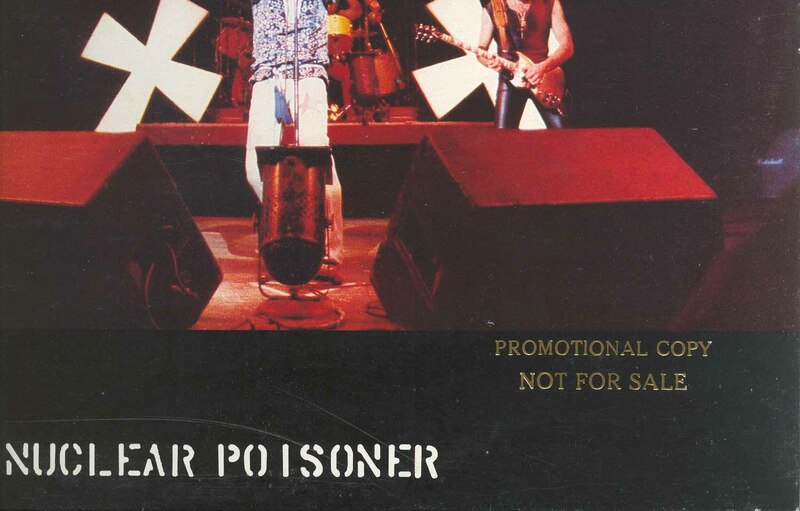 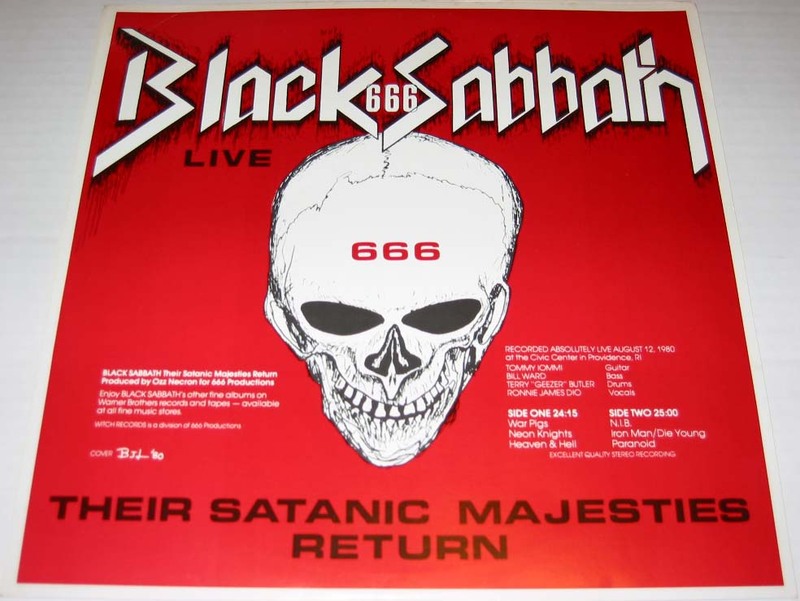 Recorded live at Hammersmith Odeon, London, UK on January 20th, 1981. 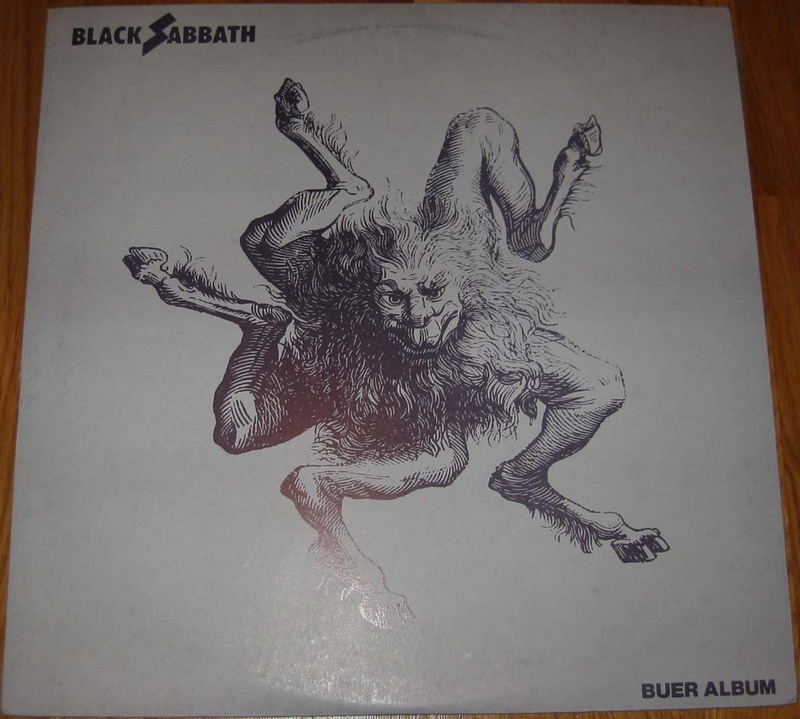 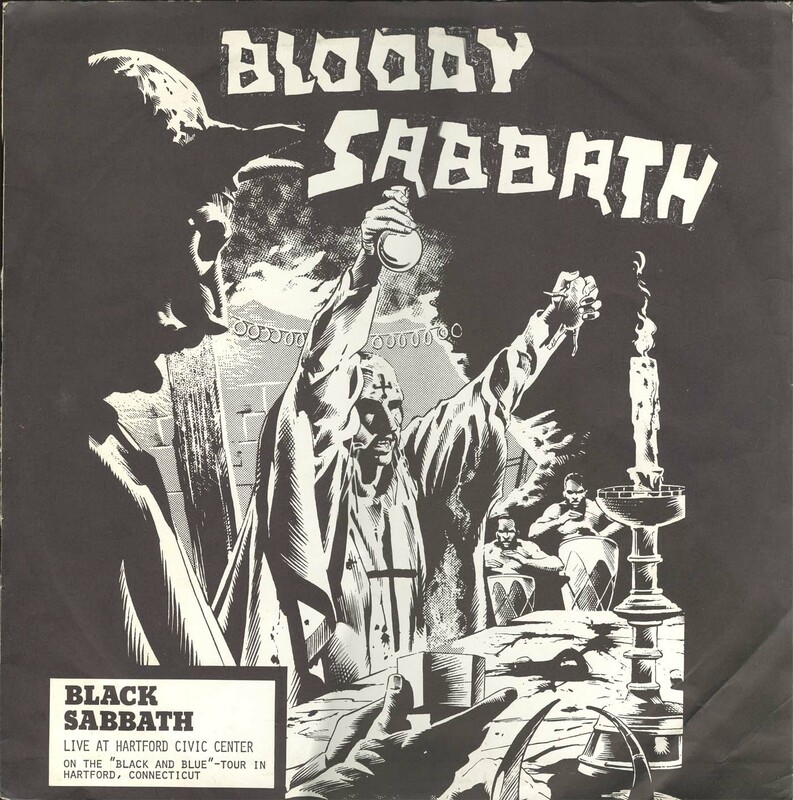 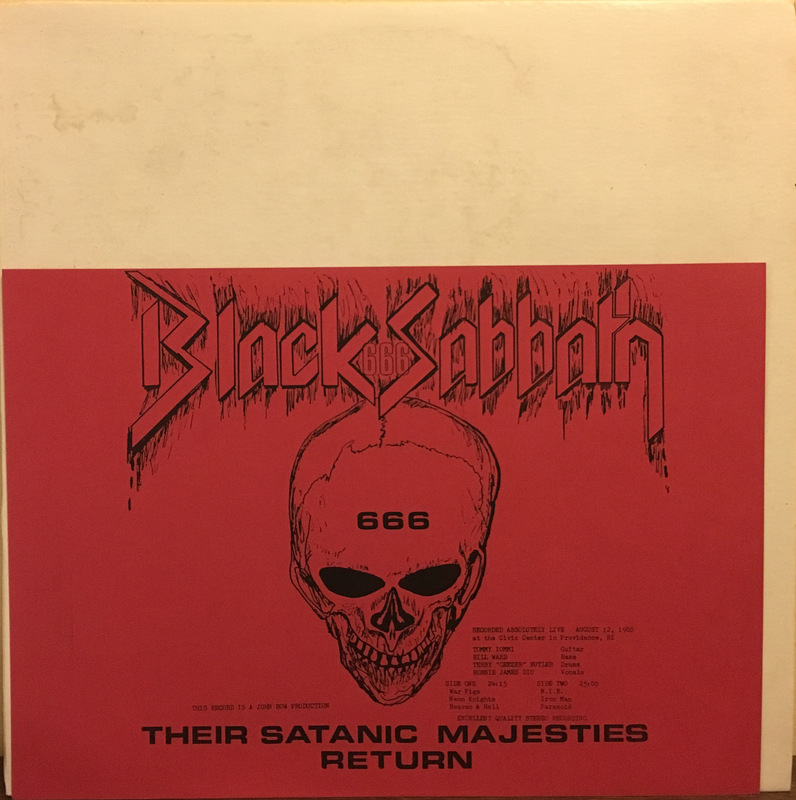 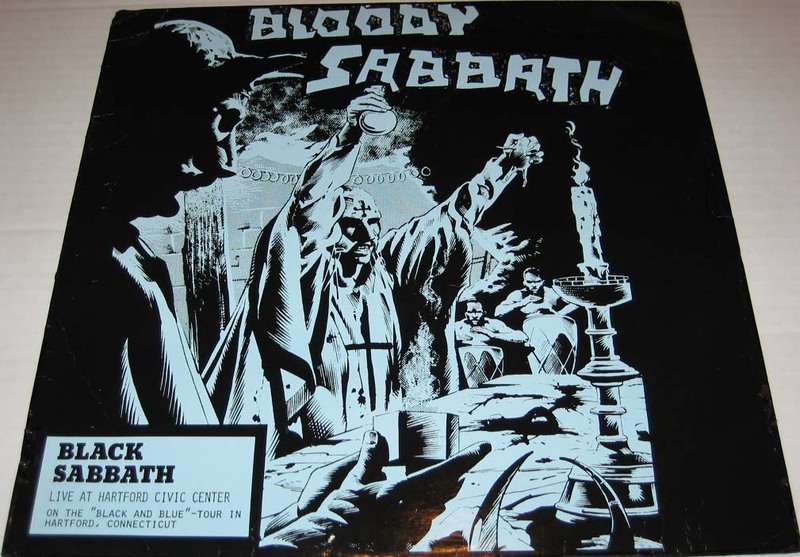 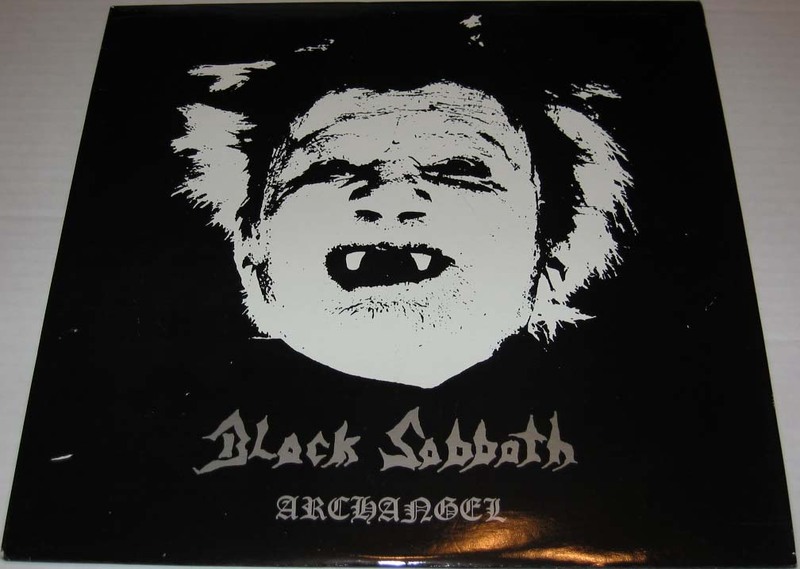 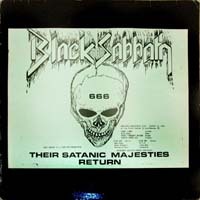 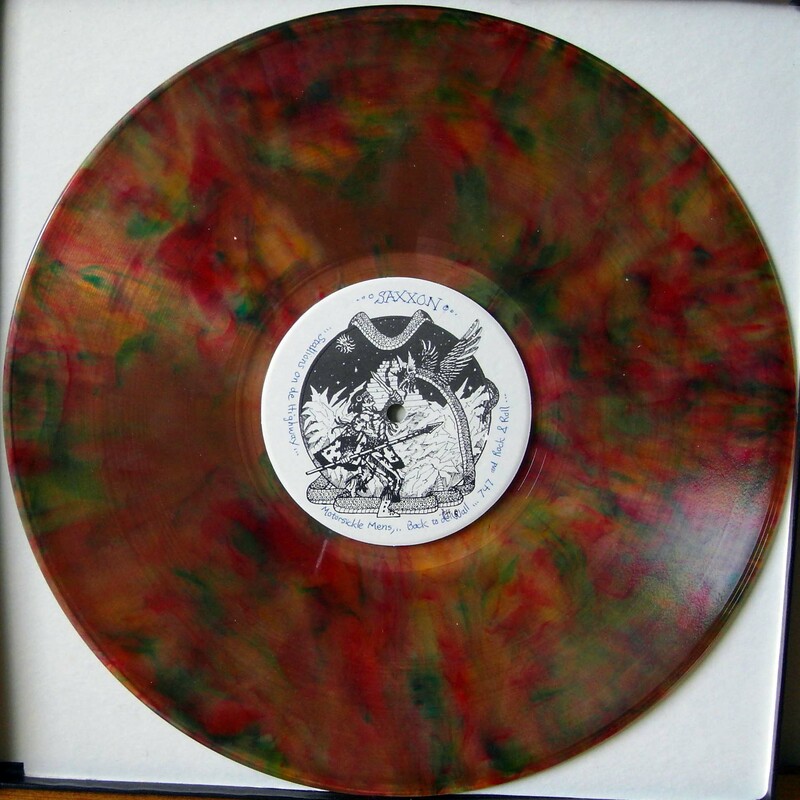 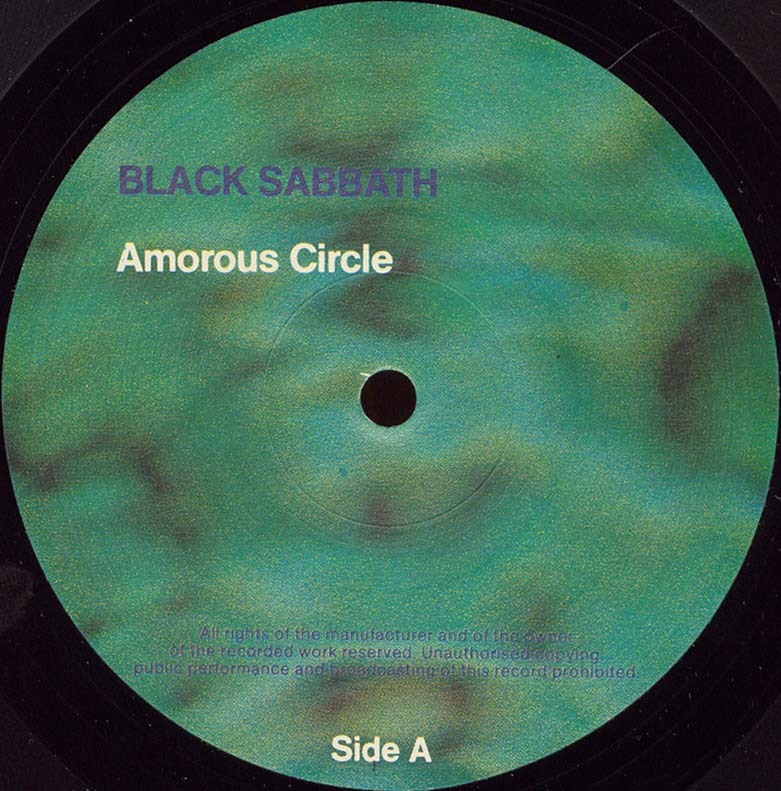 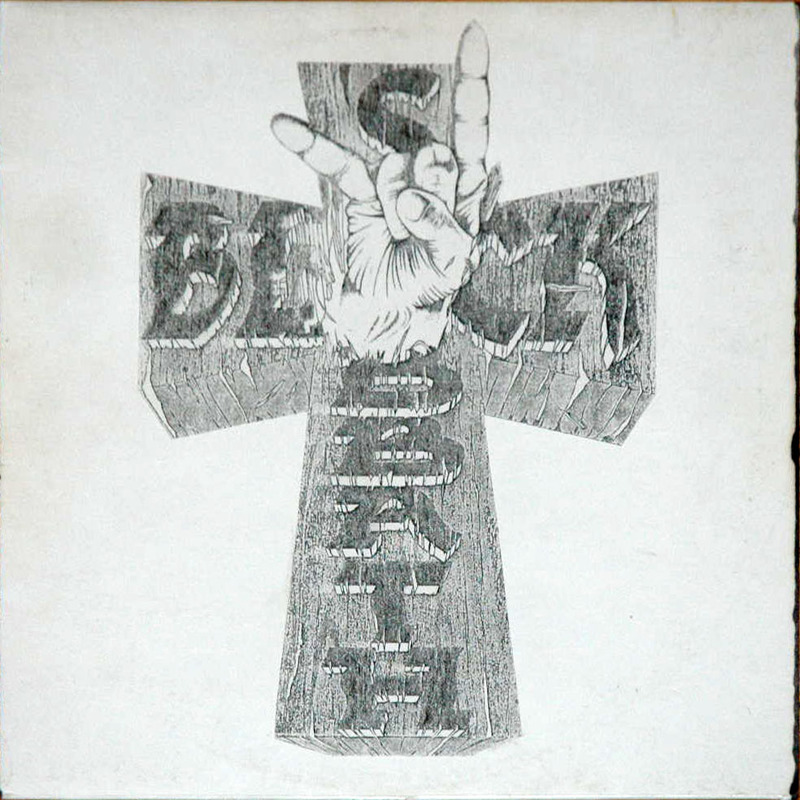 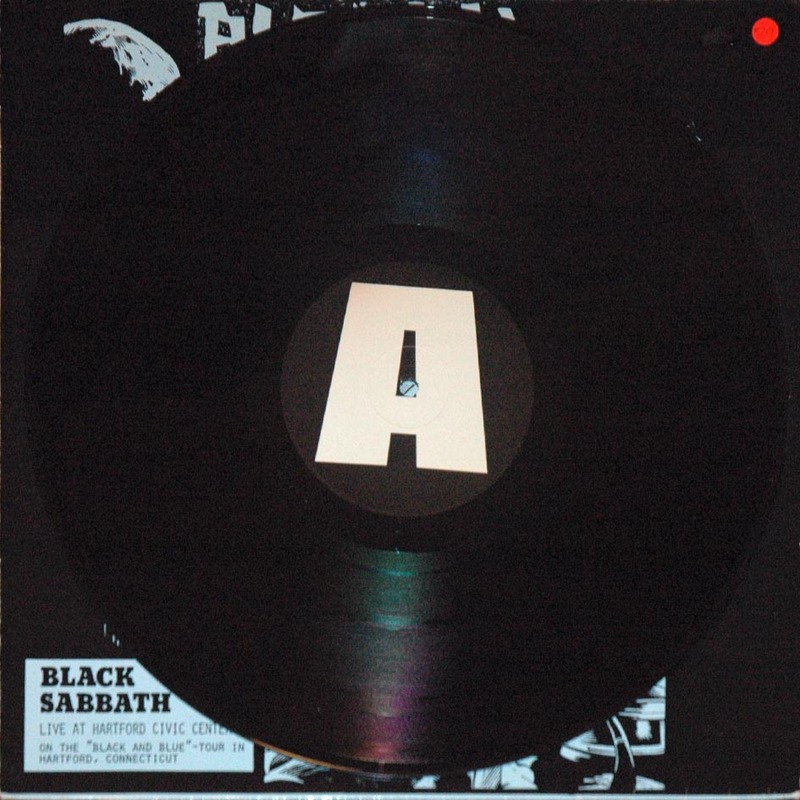 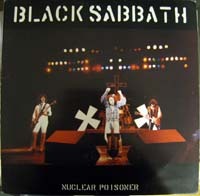 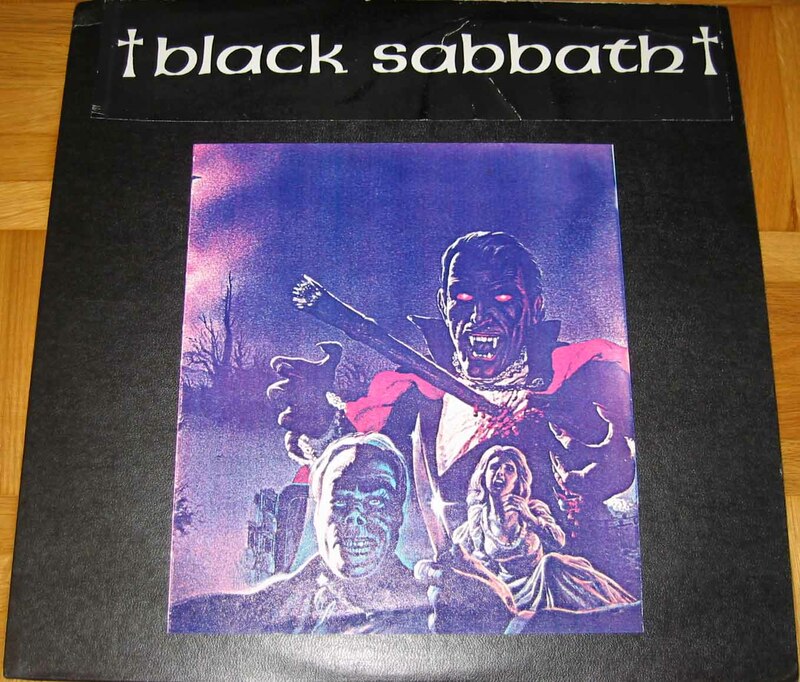 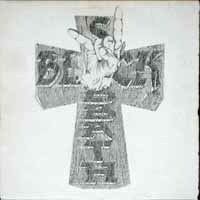 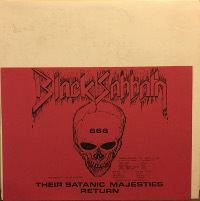 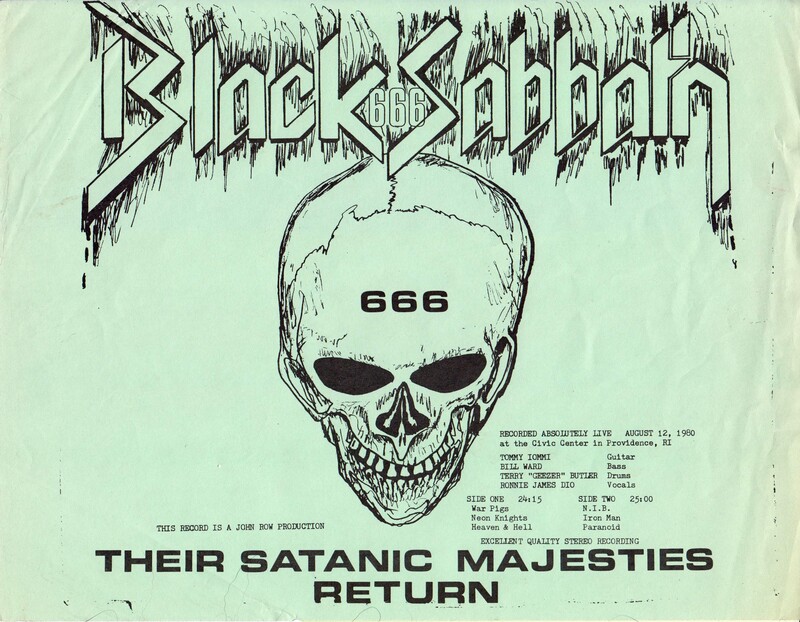 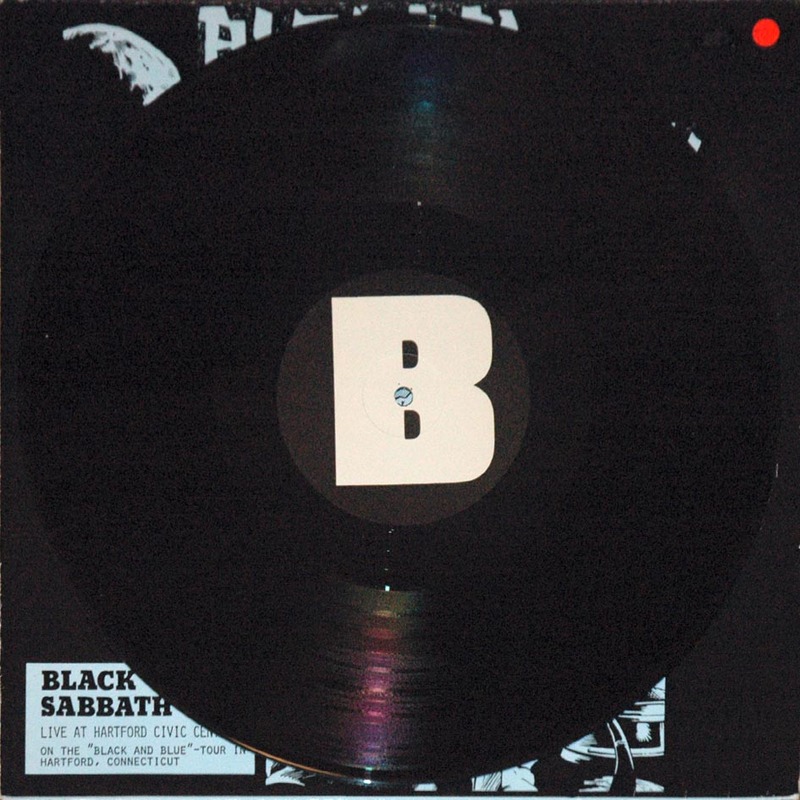 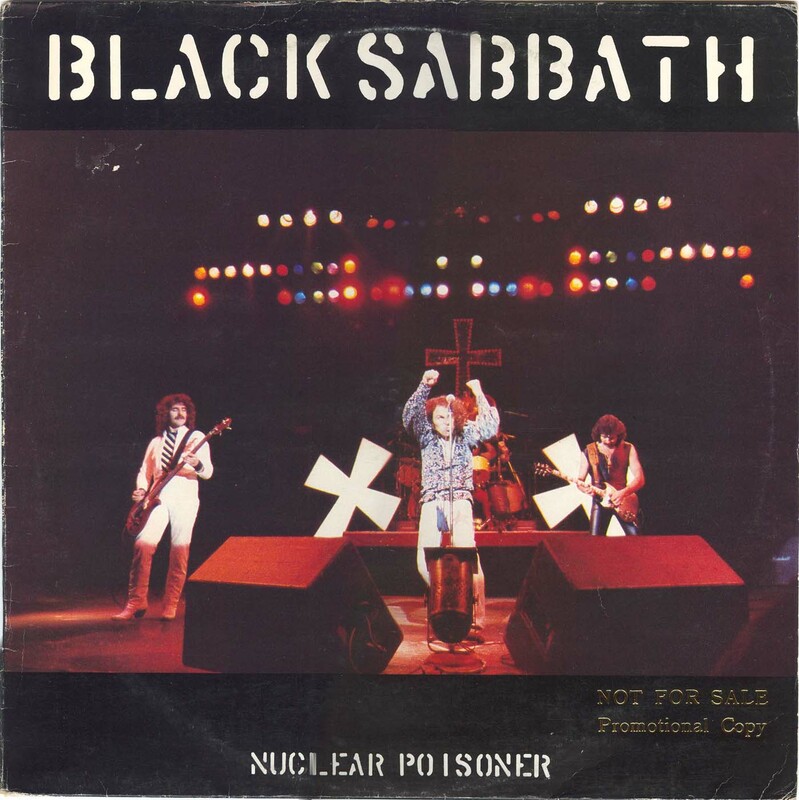 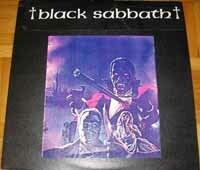 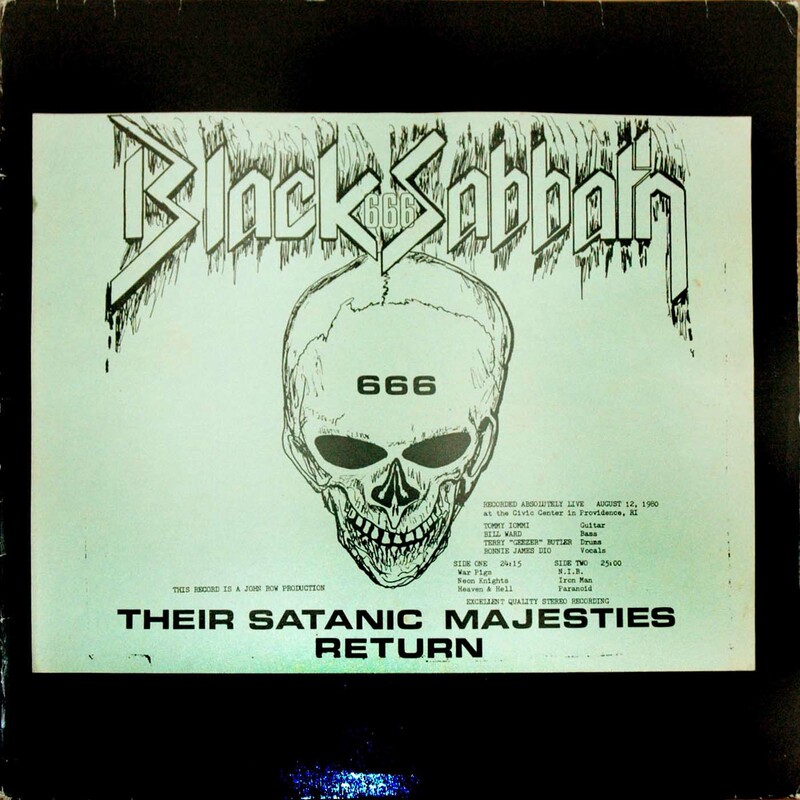 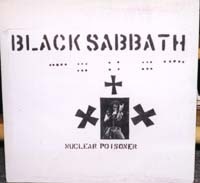 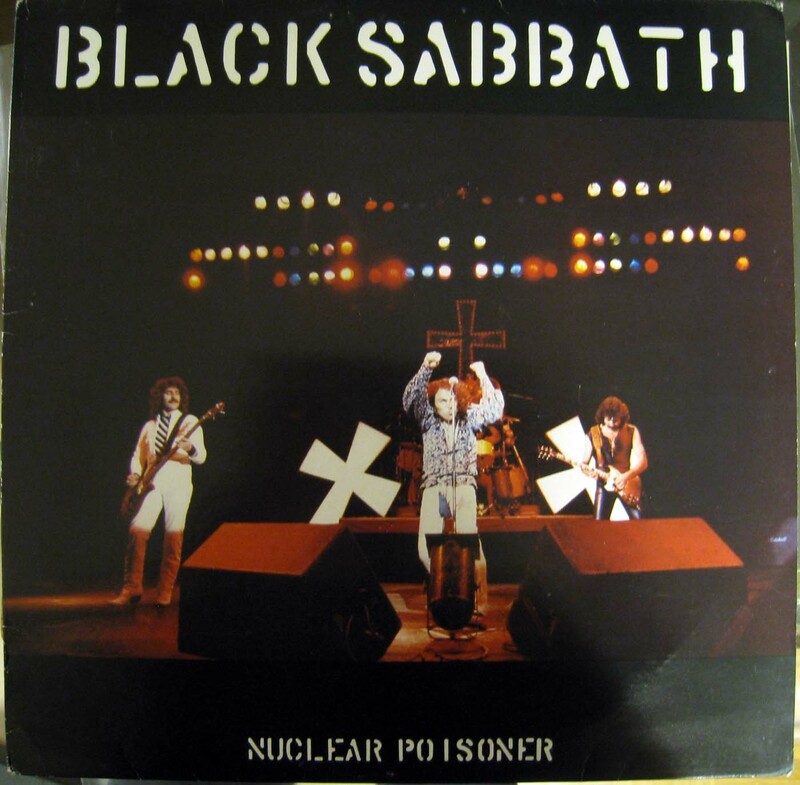 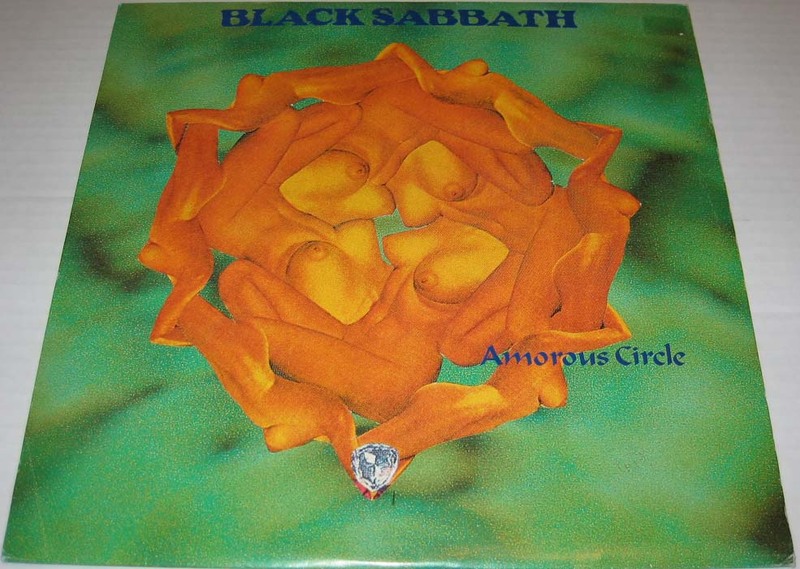 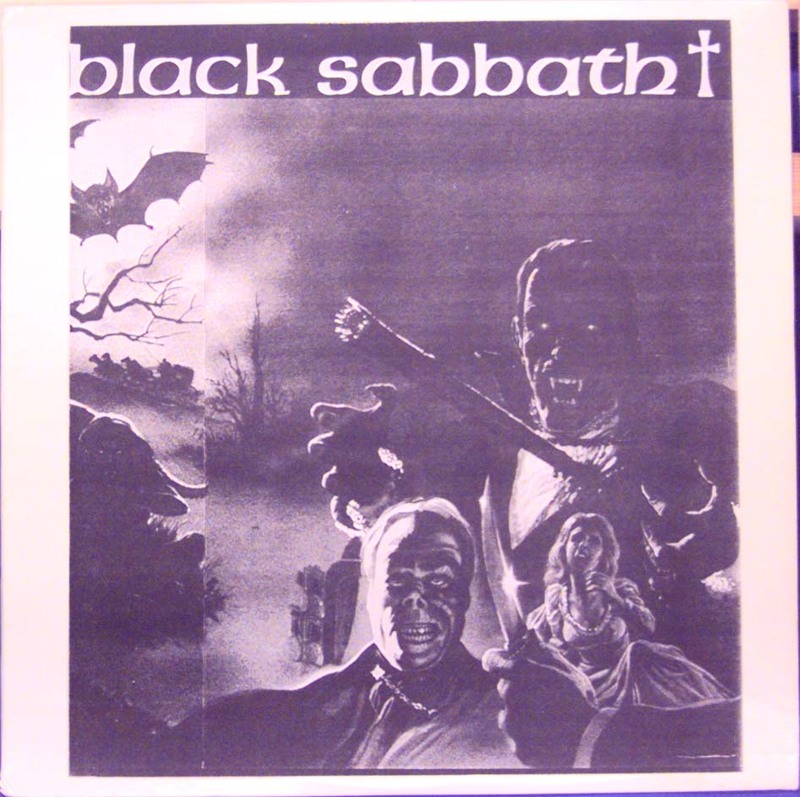 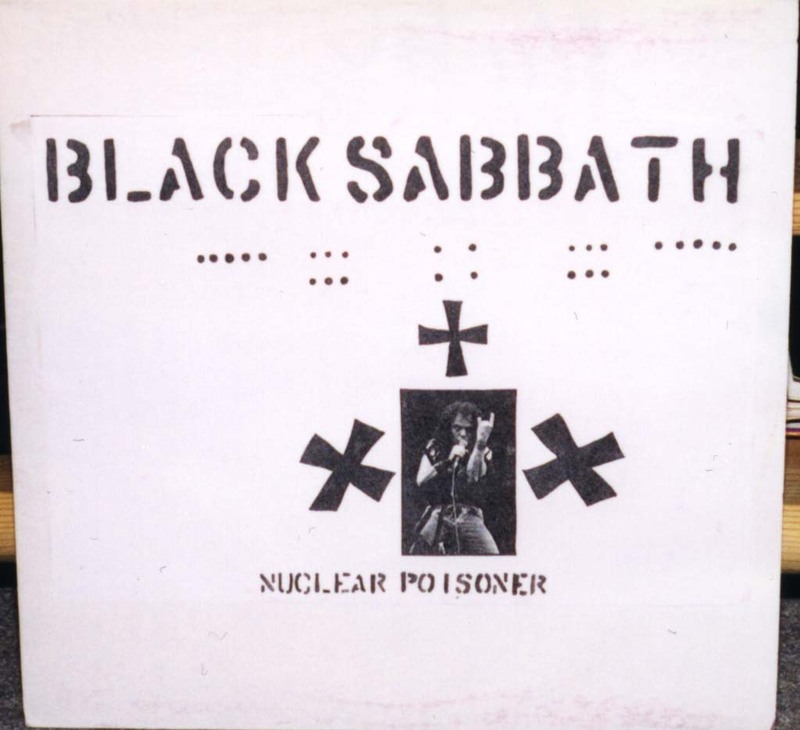 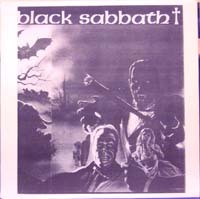 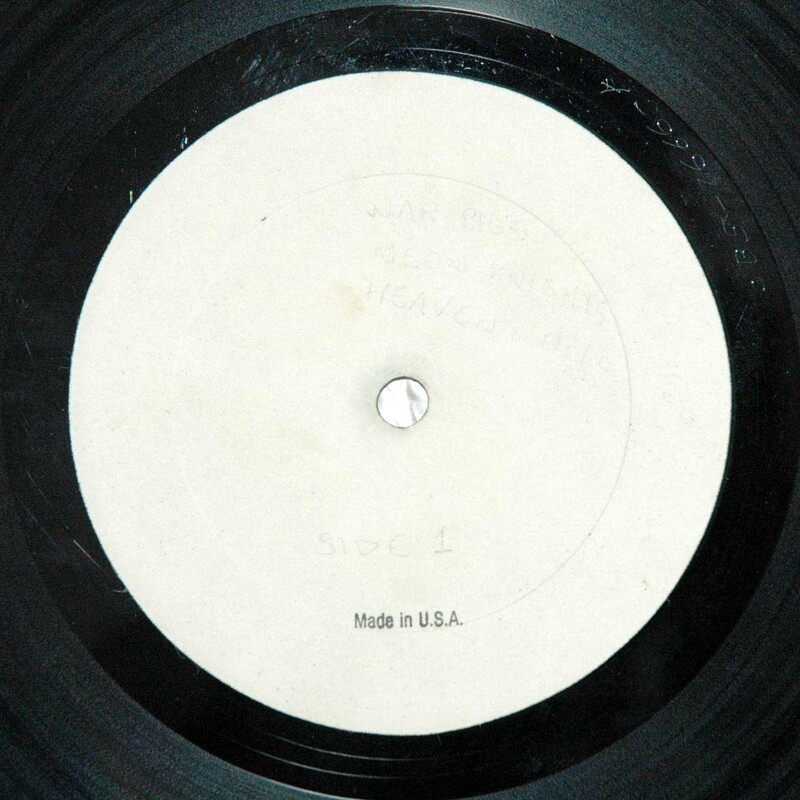 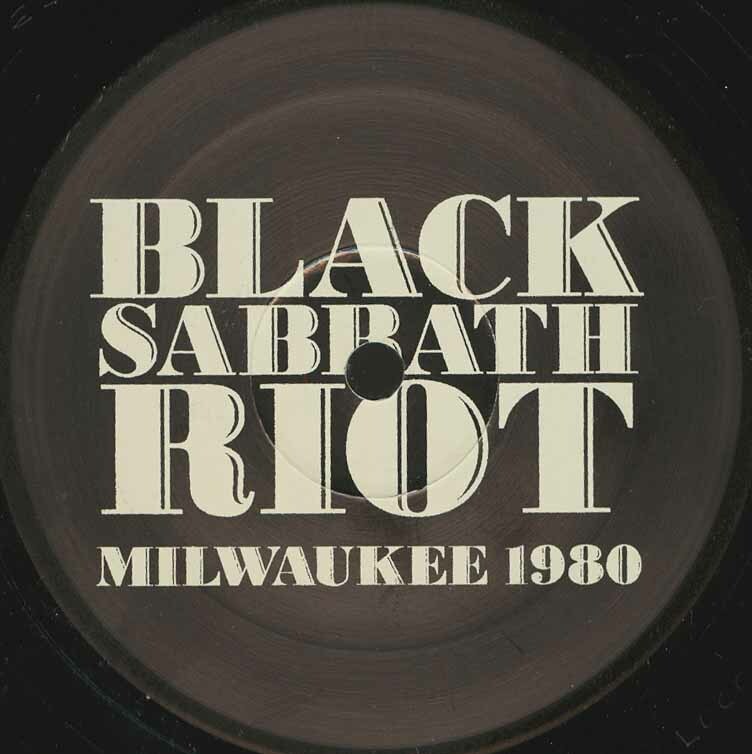 - Some sources call this bootleg as "Black Sabbath"
- White labels with various different types of markings on the labels. These include (but are not limited to) "10-70/I", "10-70/II", "8-71/I", "11-71/II", "#######" lines. 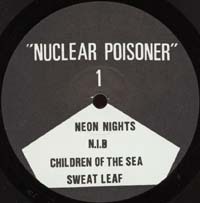 I used to count these as separate versions but merged them into this one entry. 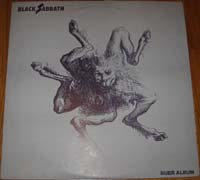 While there certainly are also identical versions, it seems that the amount of unique versions is rather high. 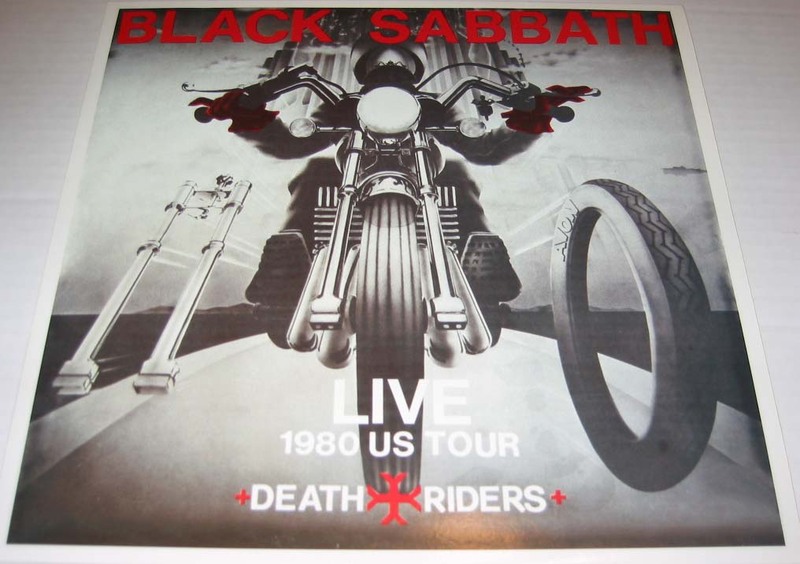 Black Sabbath recorded live at Civic Centre in Providence, RI, USA, August 12th, 1980. 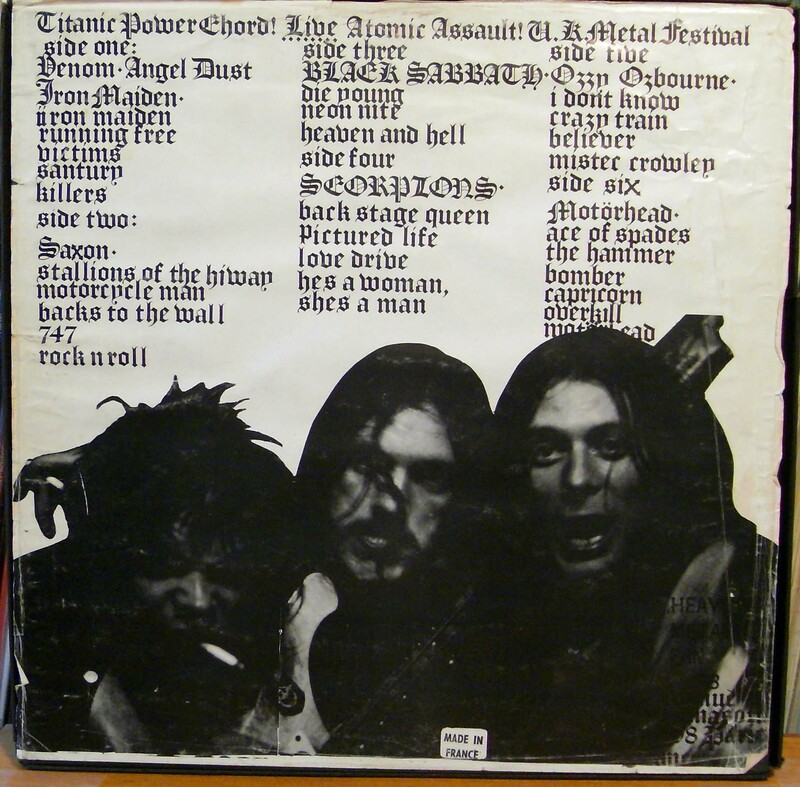 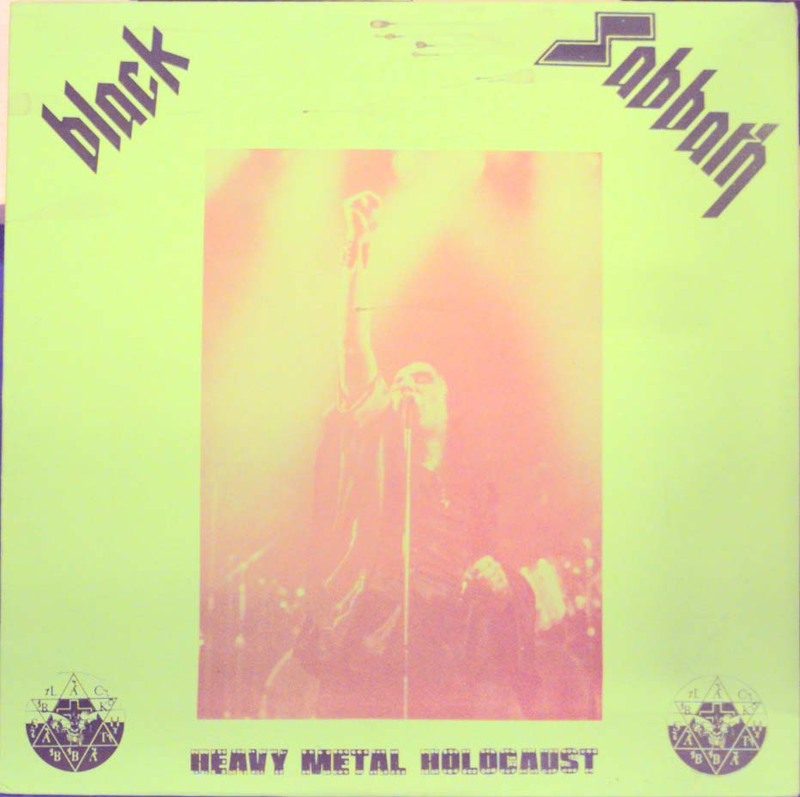 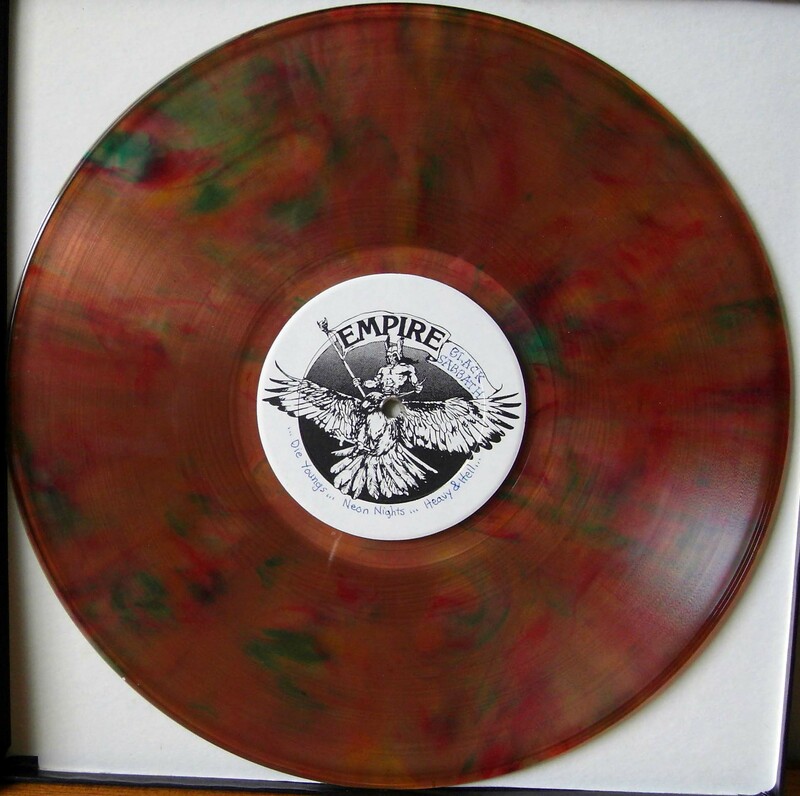 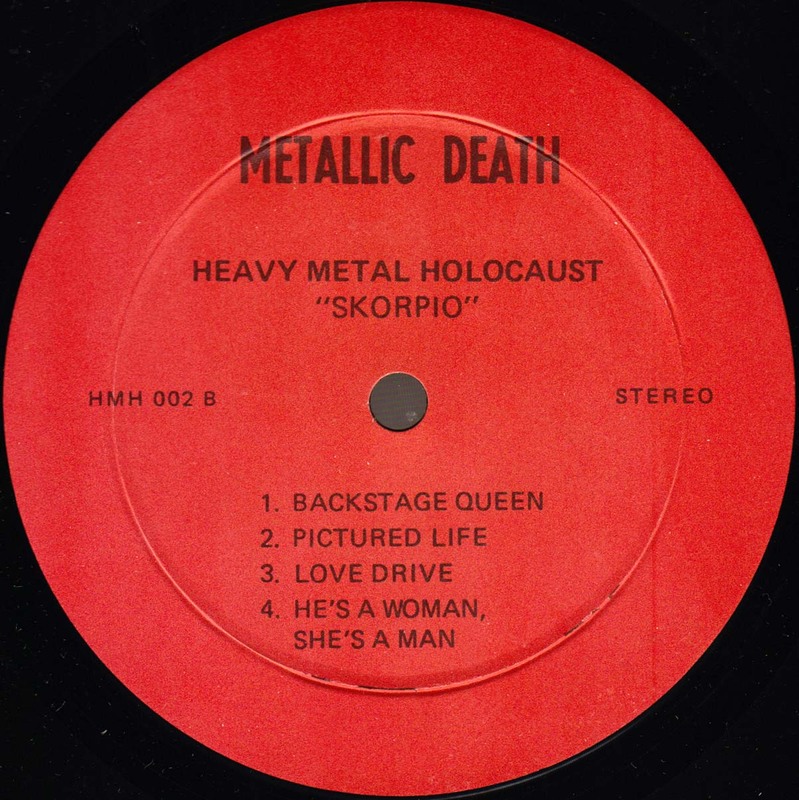 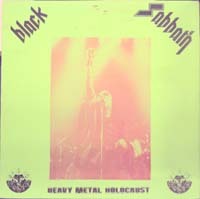 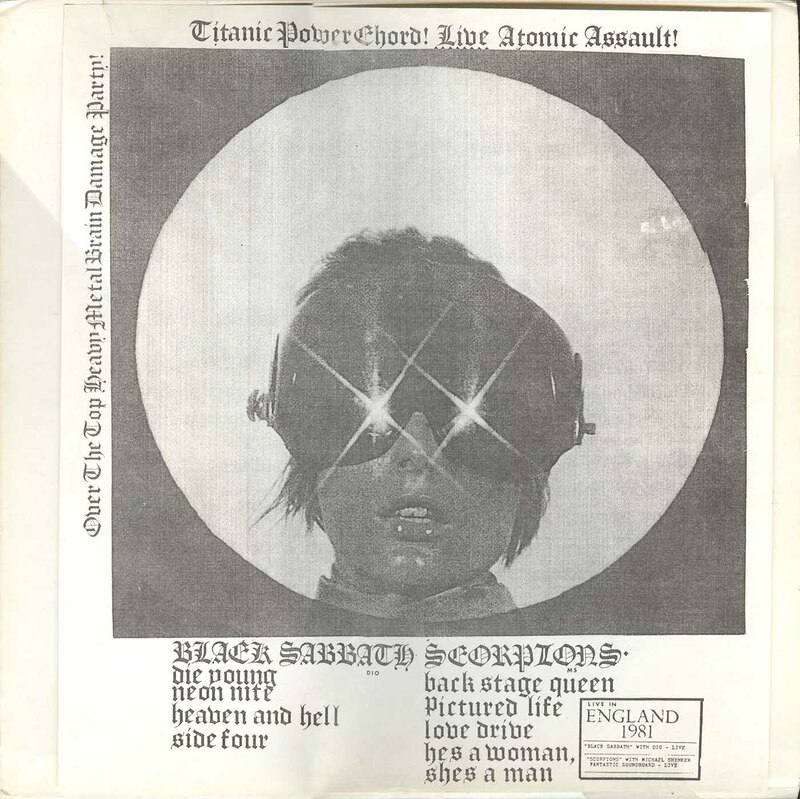 Same recording as Heavy Metal Holocaust (the 3LP bootleg). 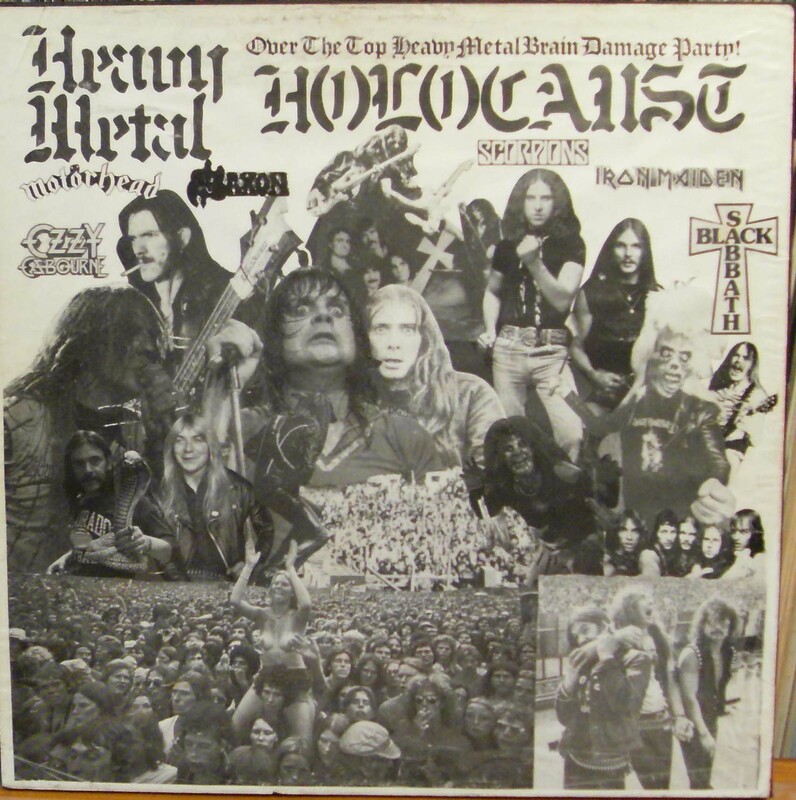 - Boxed set, comes in a black cardboard box, identical with the box with the Heavy Metal Holocaust boxed set, possibly from the same person who manufactured it as well. 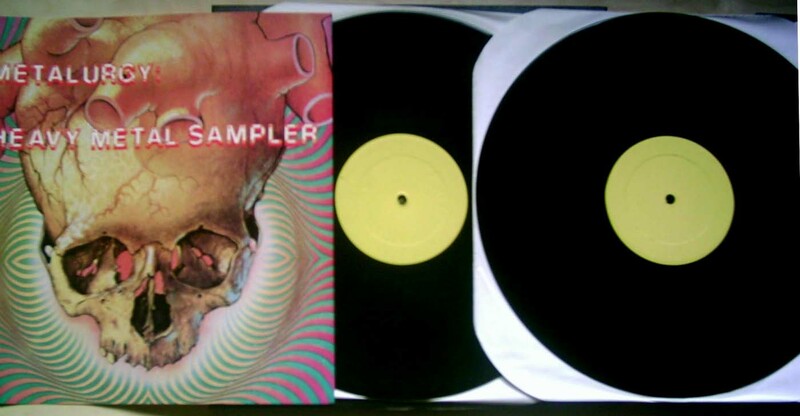 - Click here for a picture of the contents of the package. 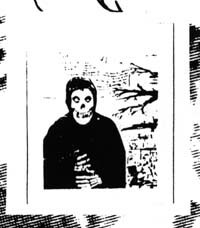 - Click here for side C picture. 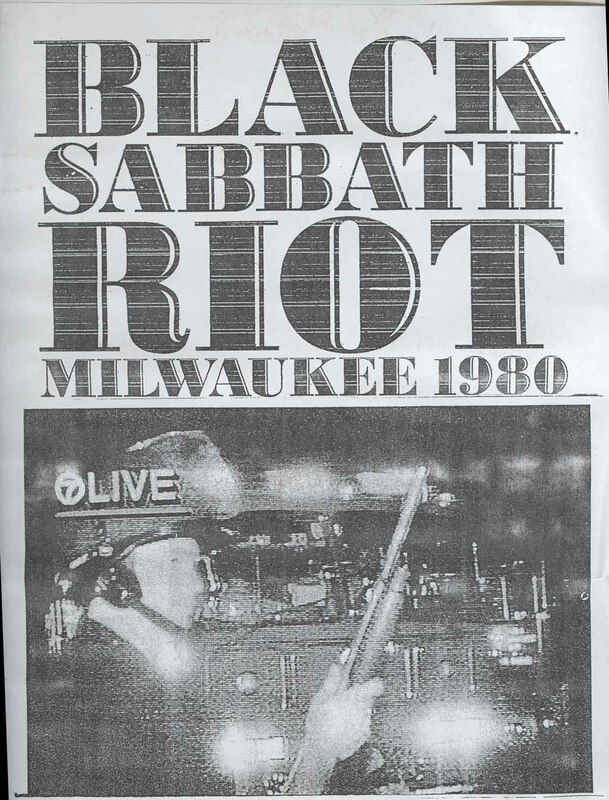 - Click here for side D picture. - Click here for side E picture. 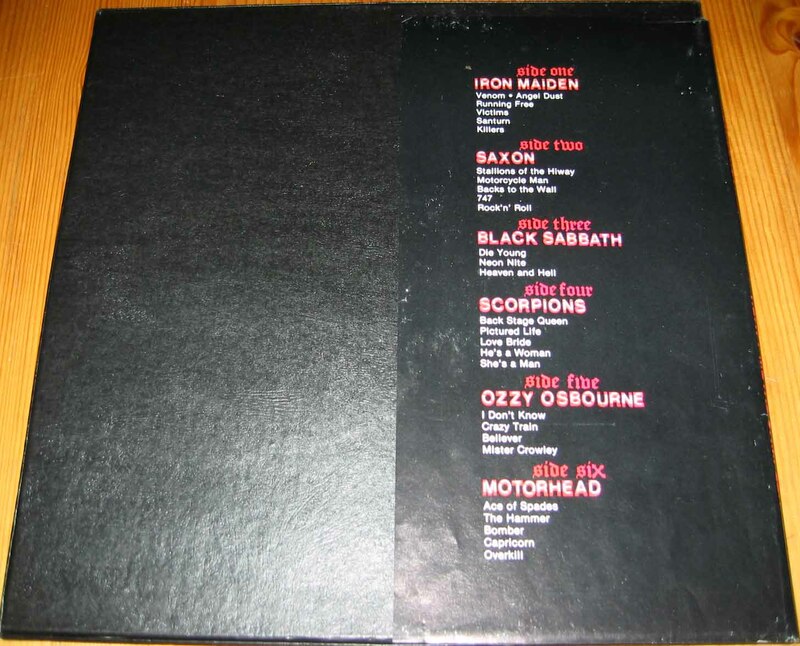 - Click here for side F picture. 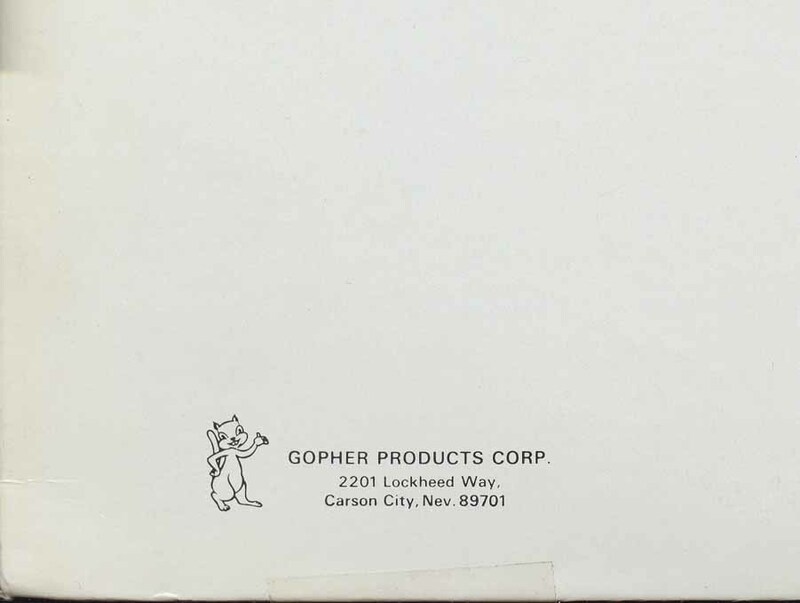 - Might be "hand-made" by a previous owner? 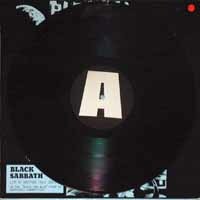 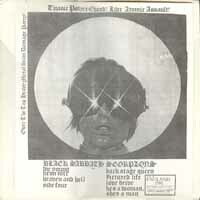 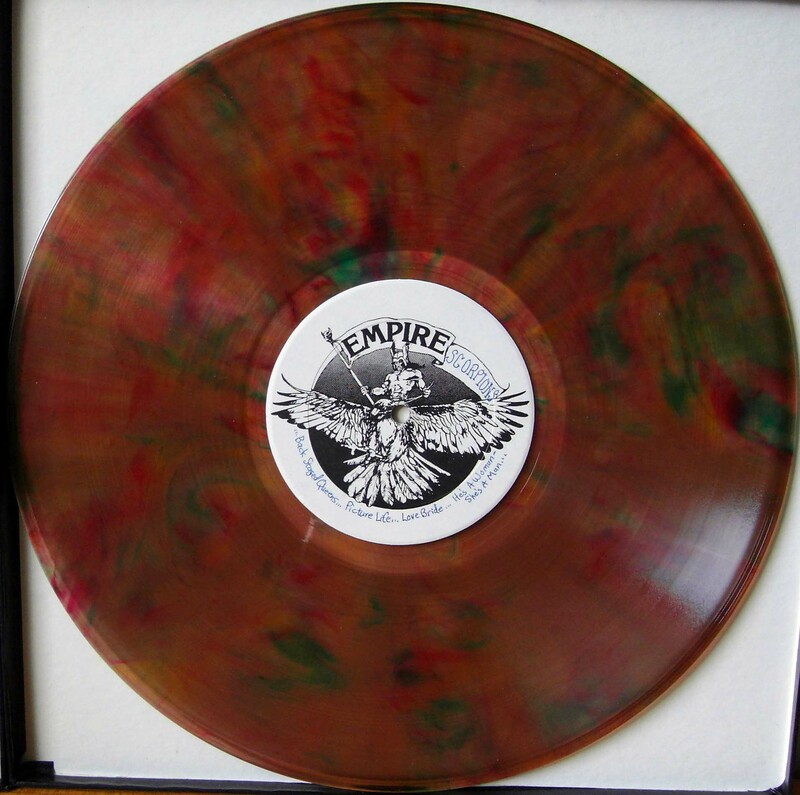 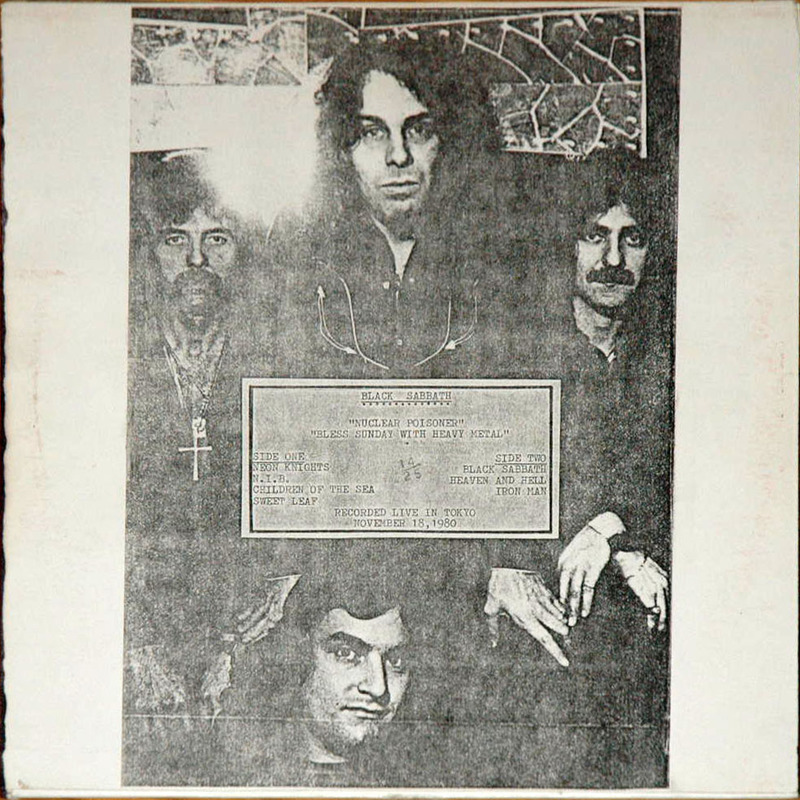 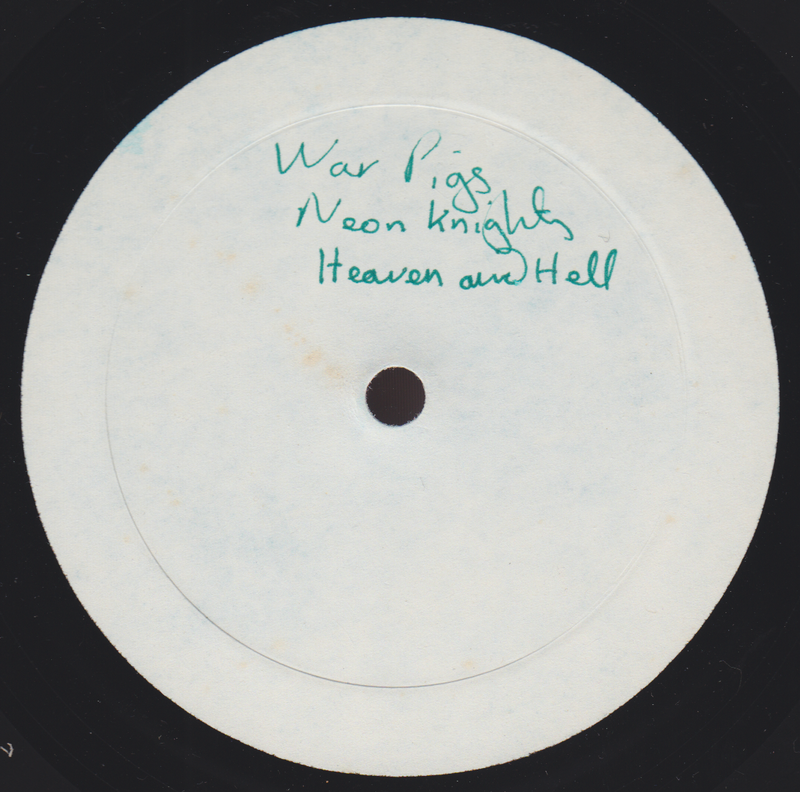 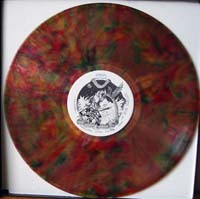 Copy of the first LP of the Archangel bootleg. 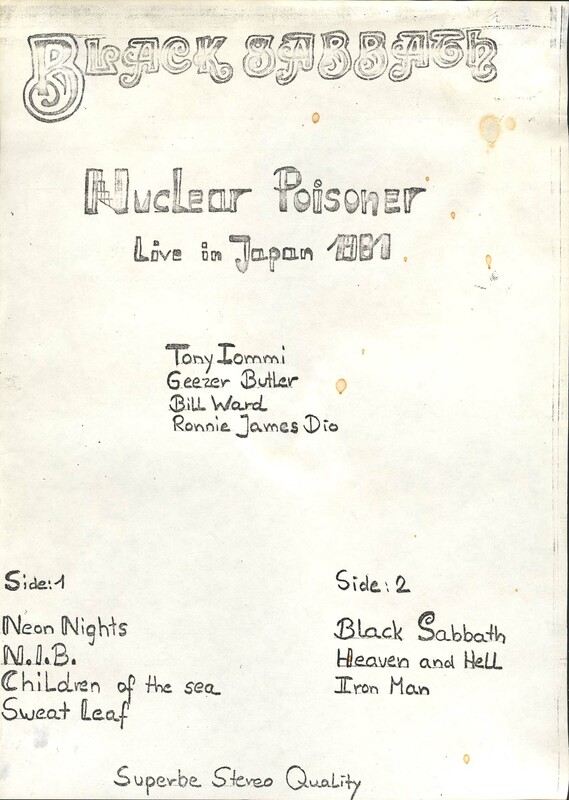 Recorded live at Sun Plaza Hall, Tokyo, Japan on November 18th, 1980. 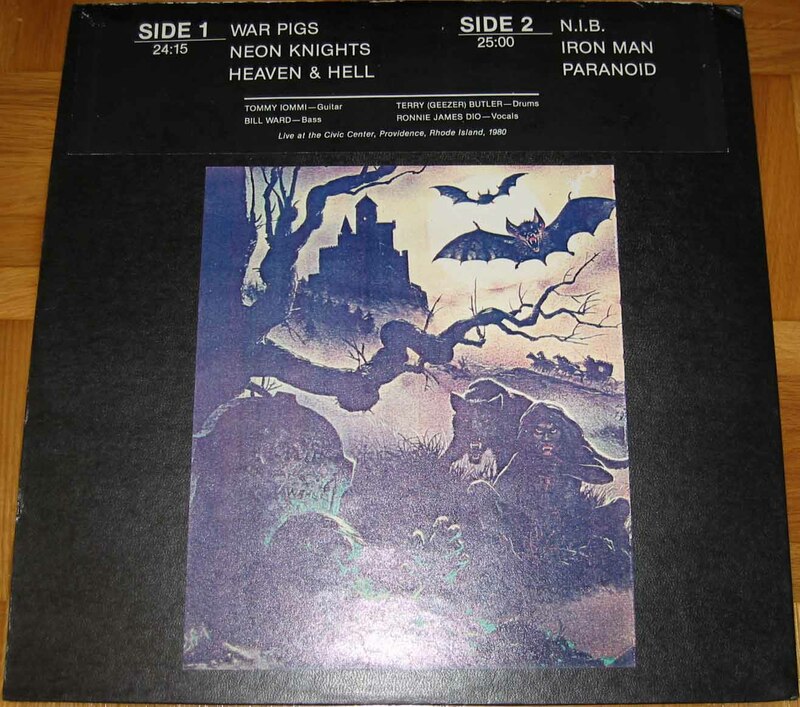 - Cover looks like hand-made by a previous owner, but at least two identical copies exist. - Click here for insert sleeve picture. - Country of origin most likely Brazil, although labels say MADE IN USA.